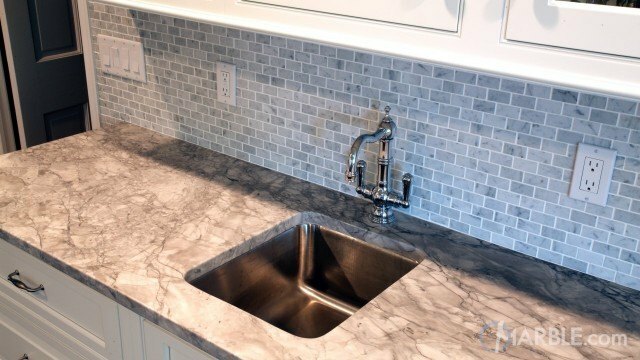 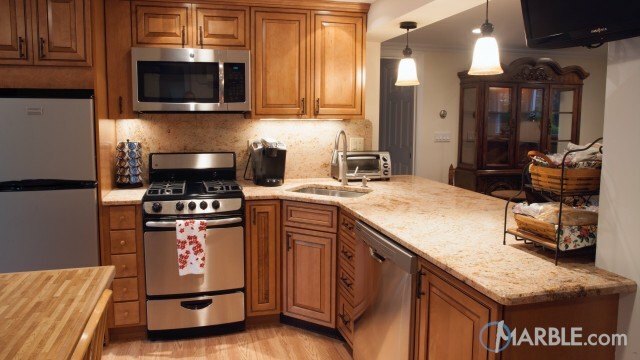 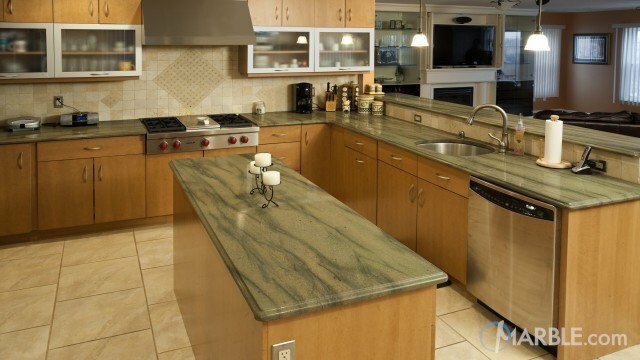 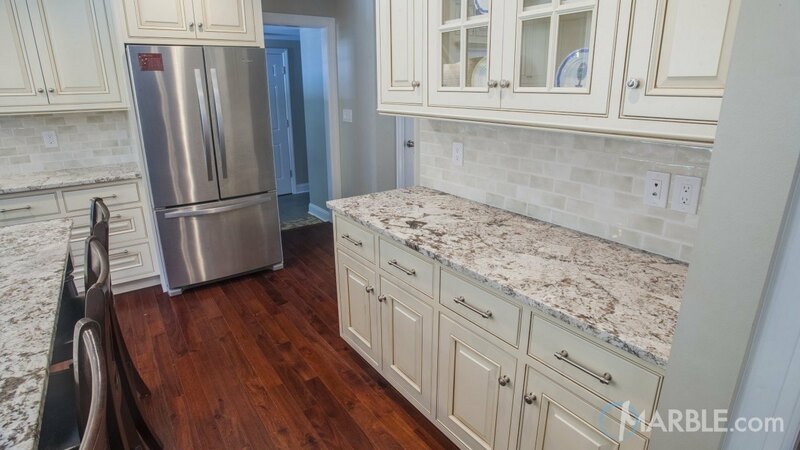 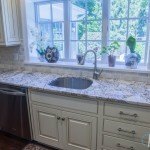 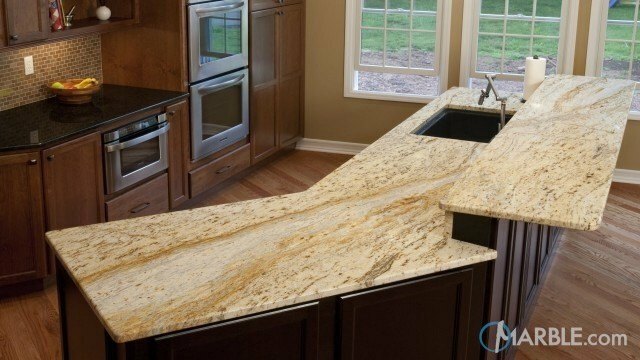 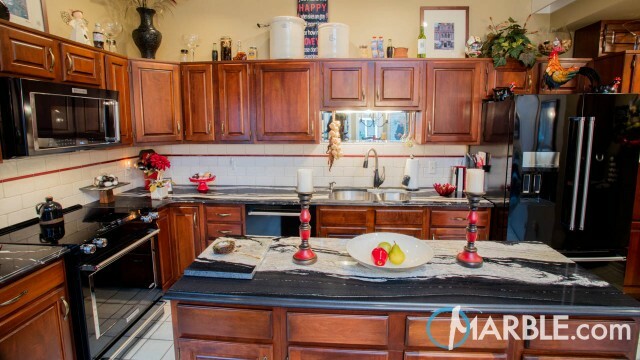 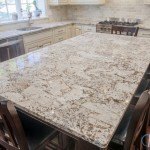 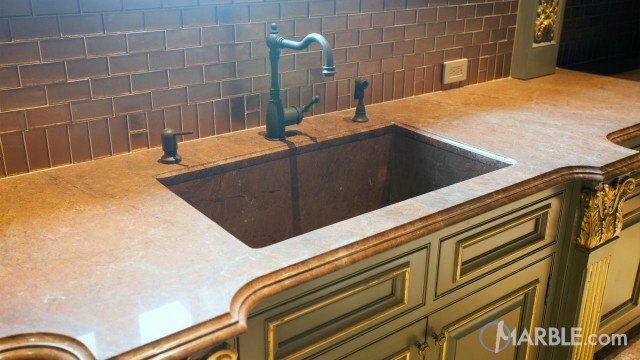 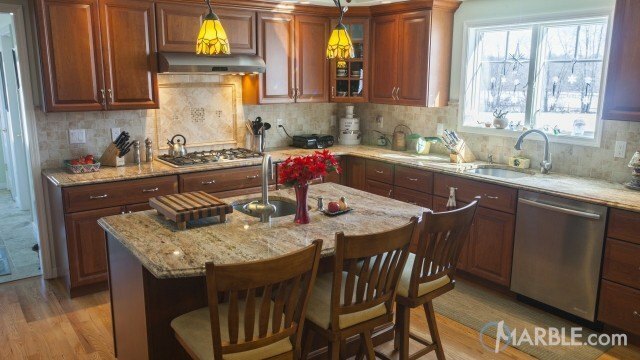 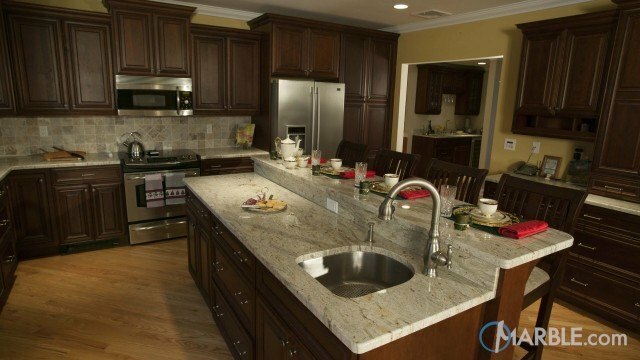 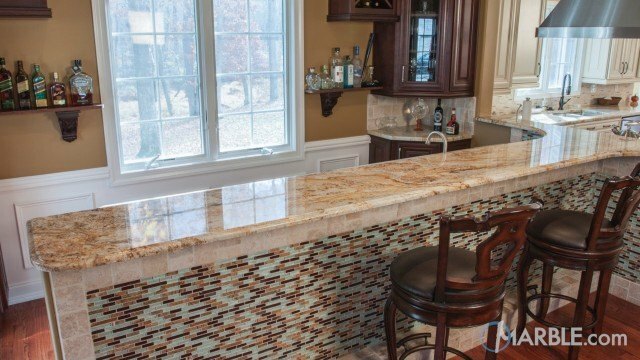 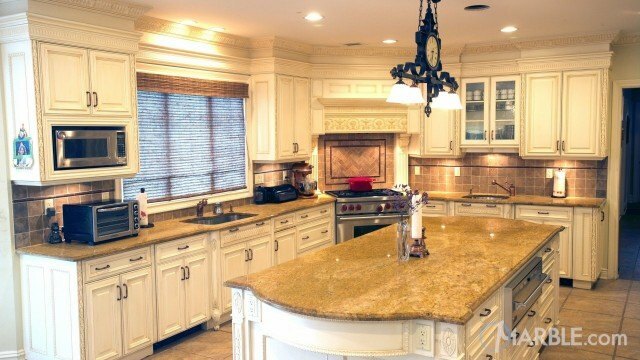 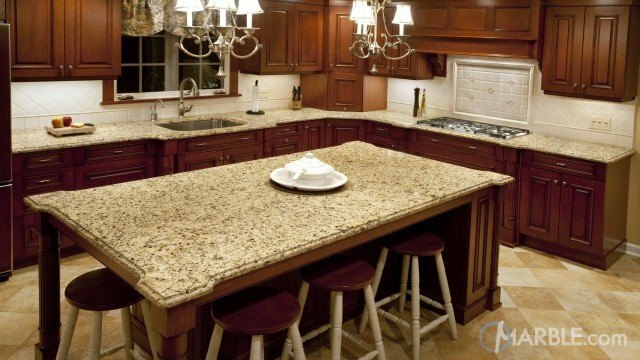 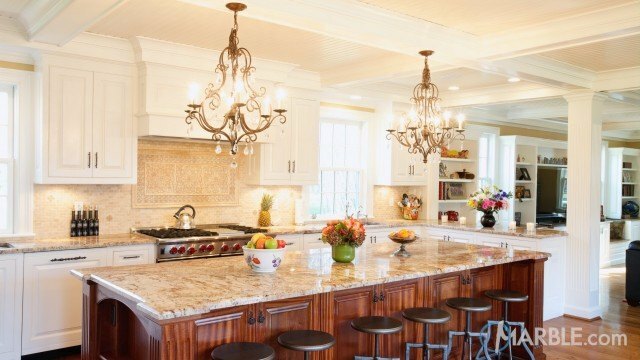 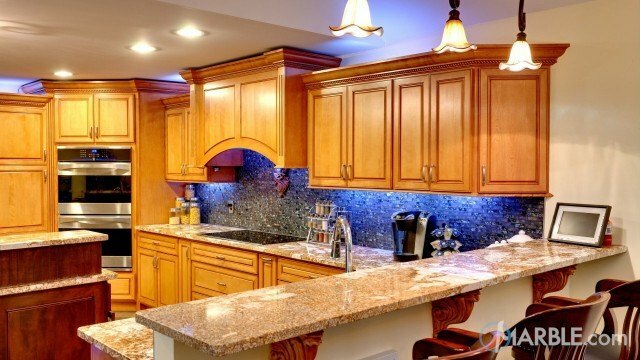 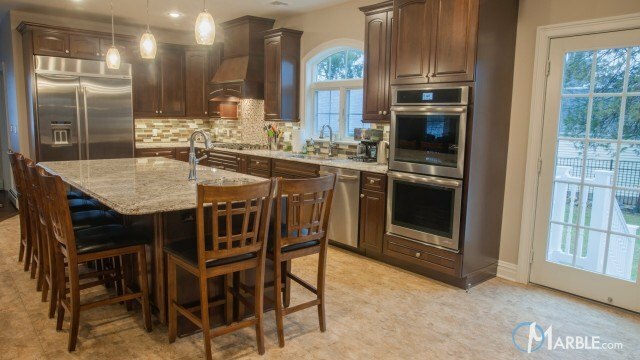 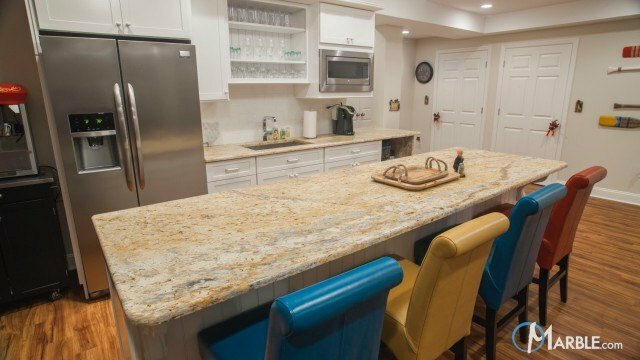 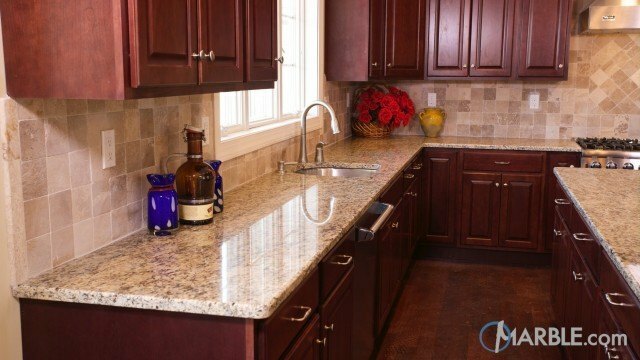 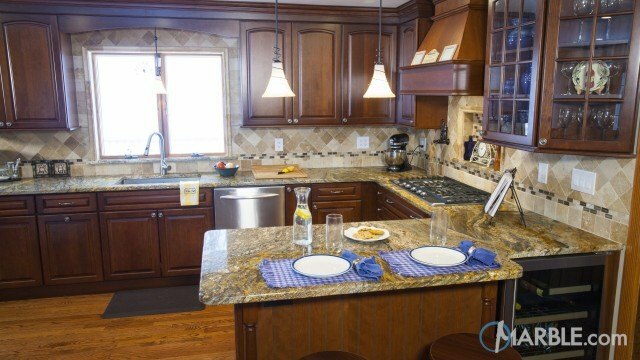 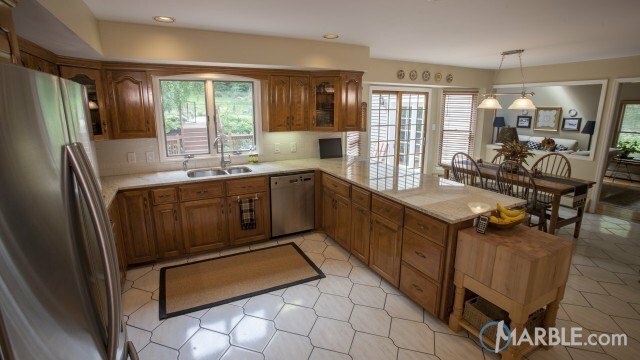 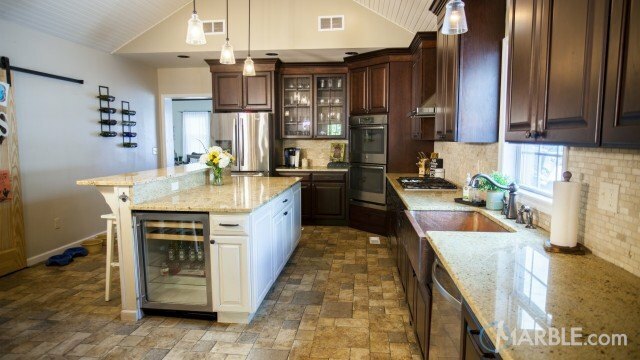 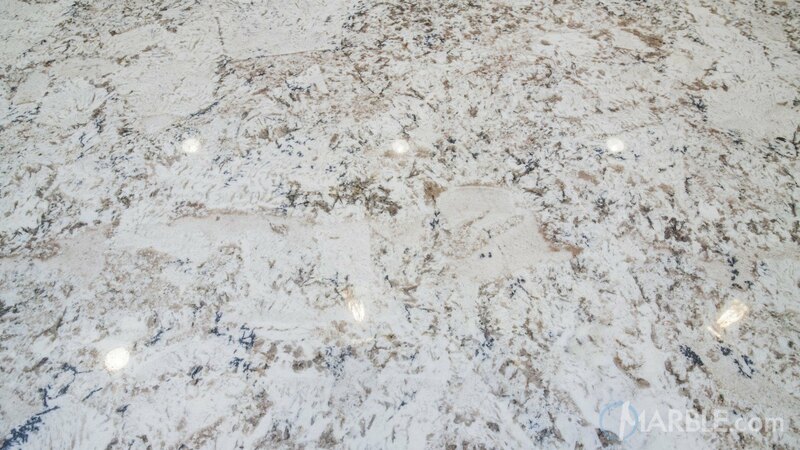 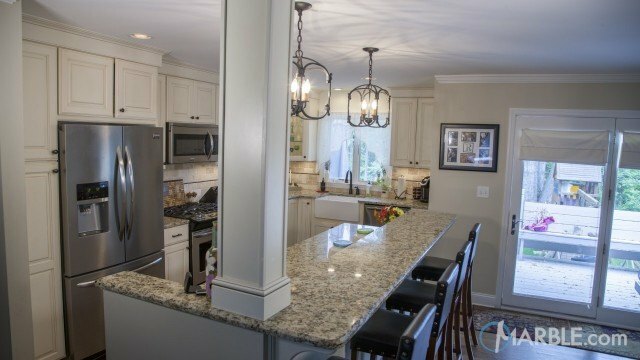 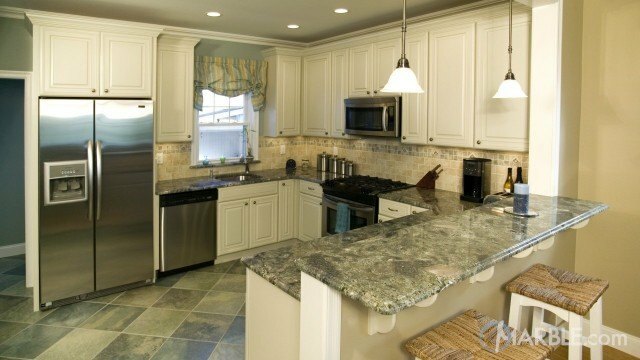 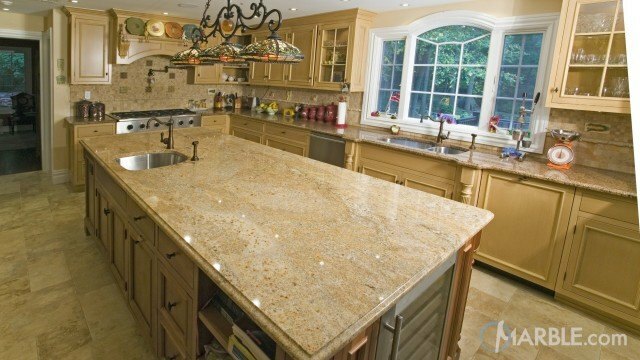 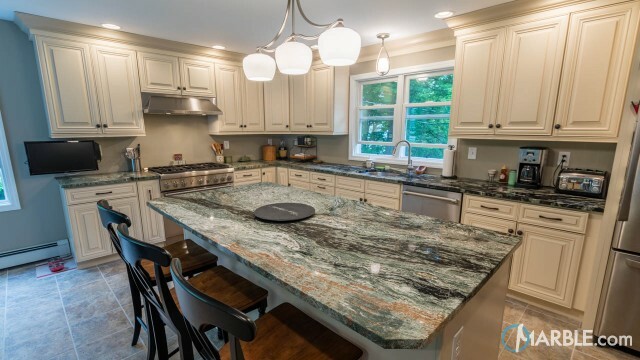 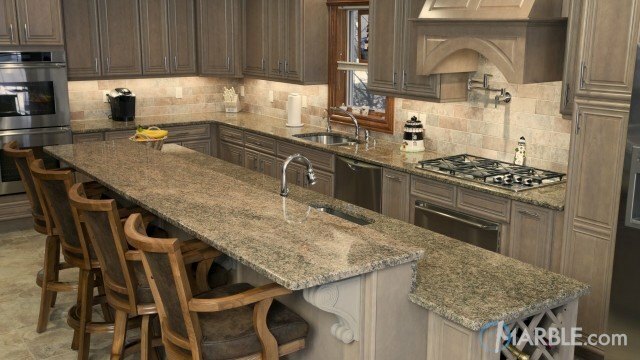 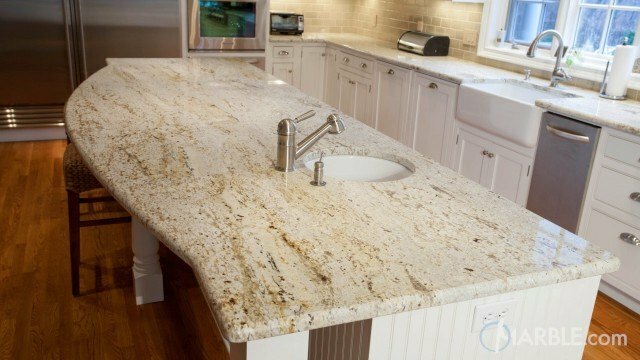 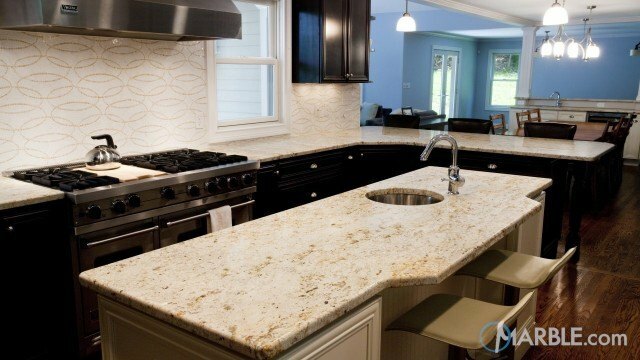 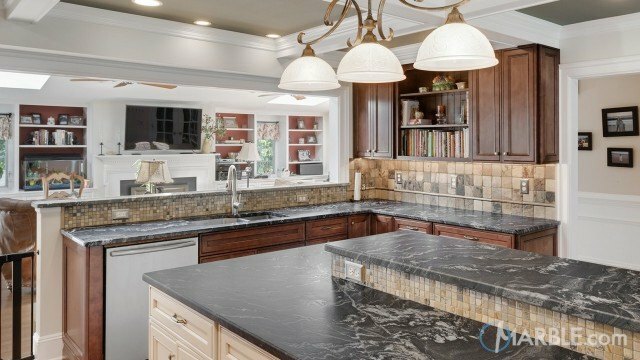 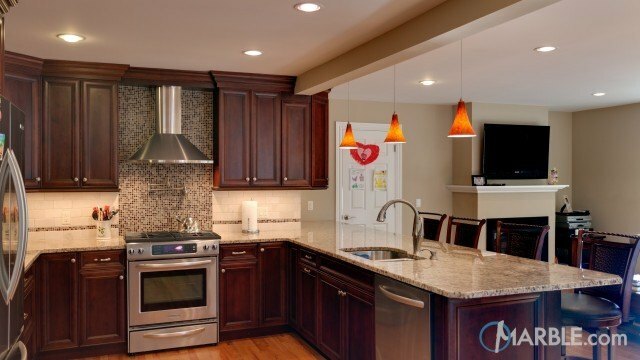 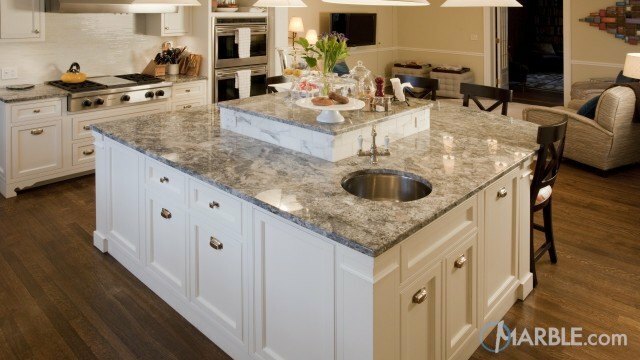 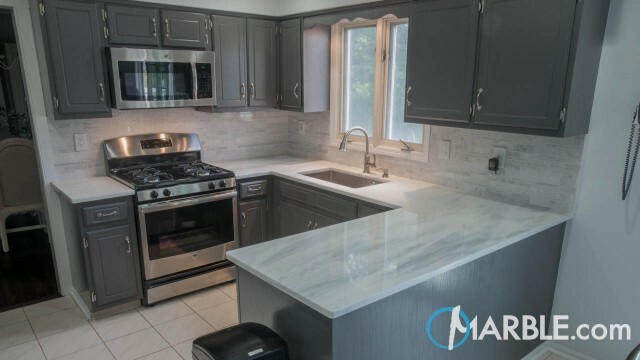 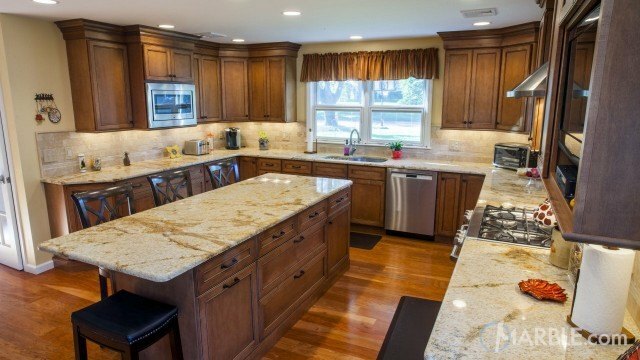 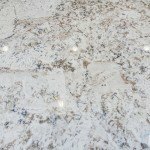 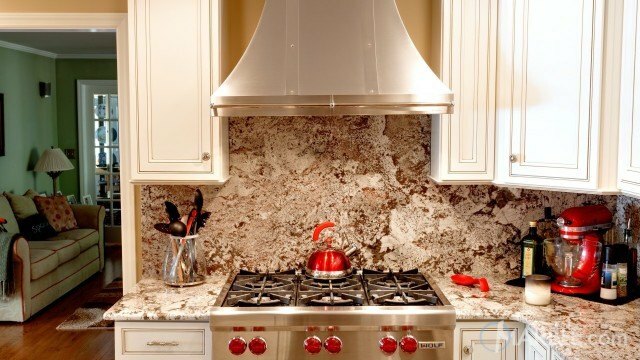 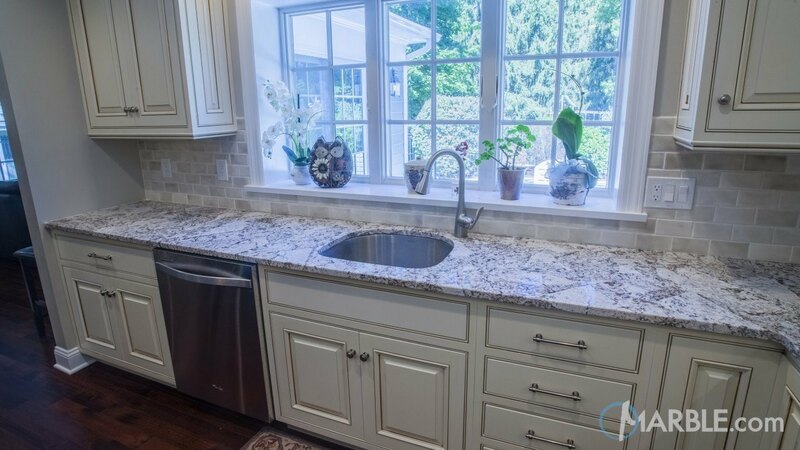 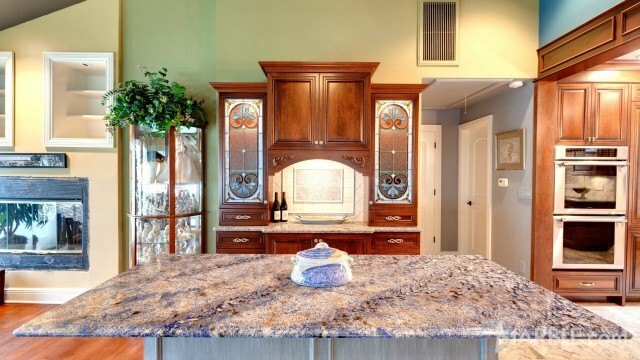 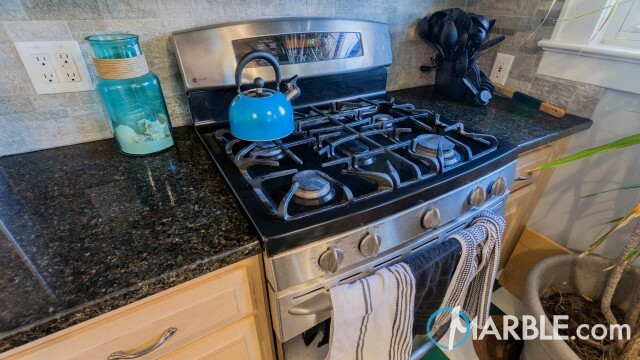 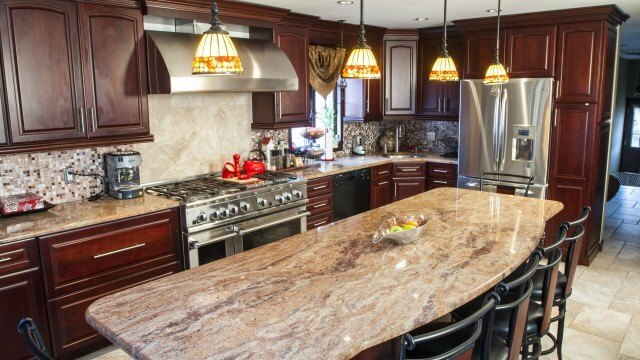 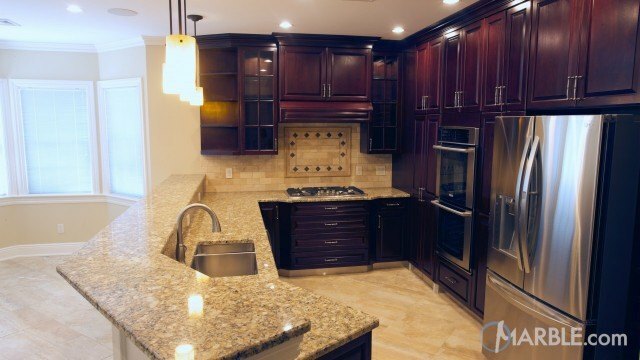 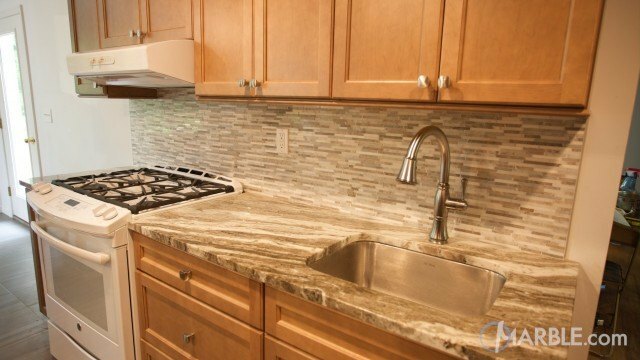 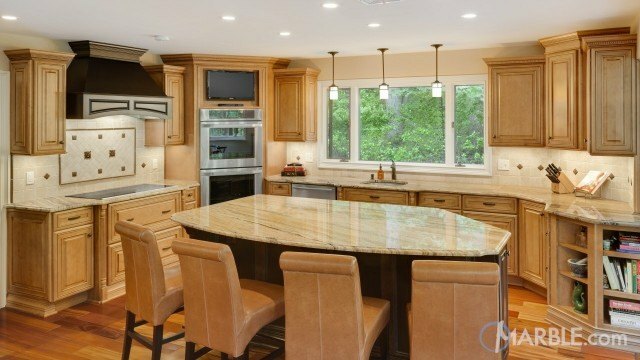 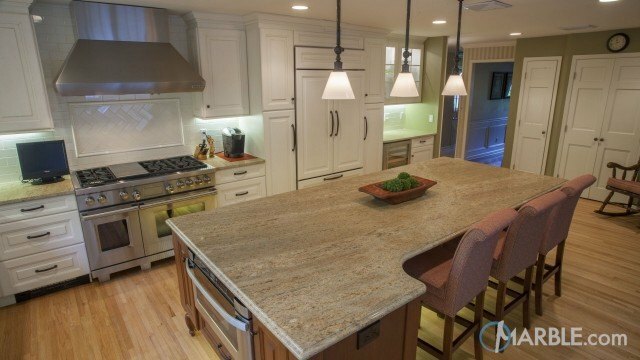 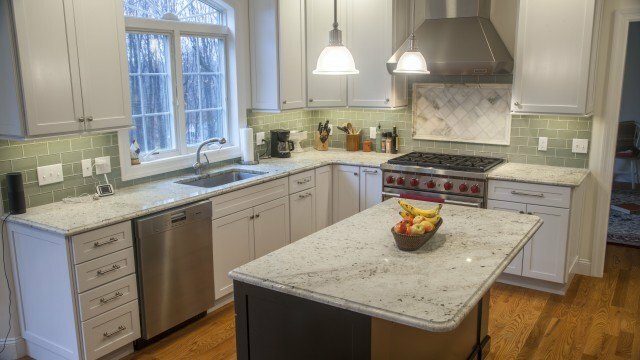 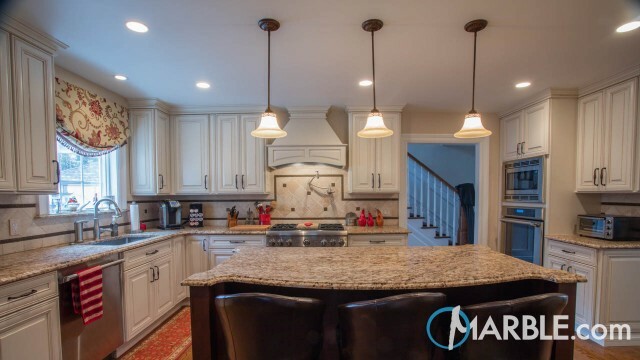 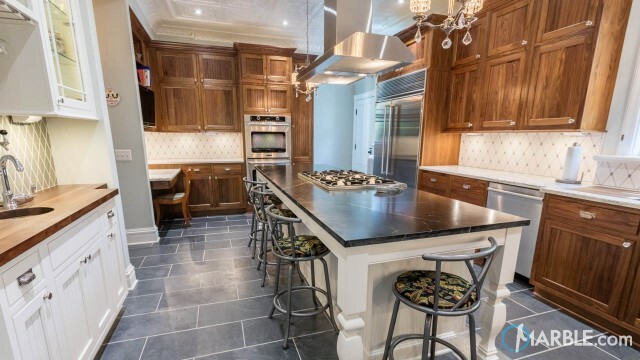 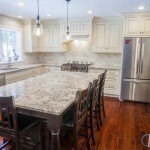 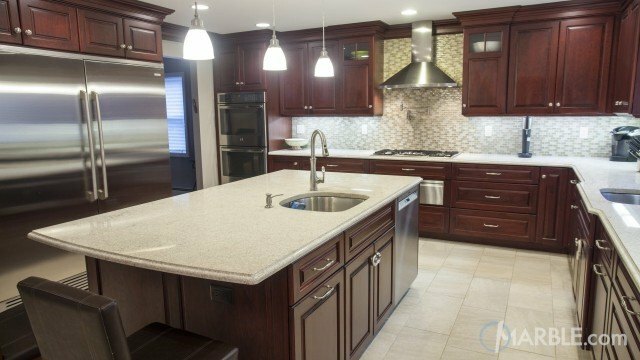 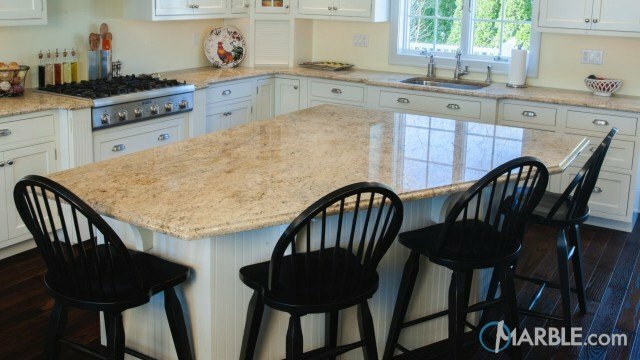 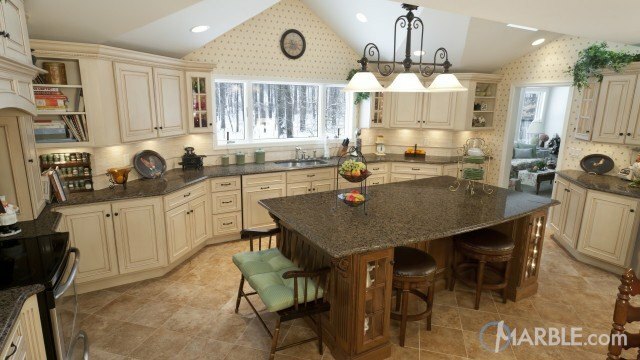 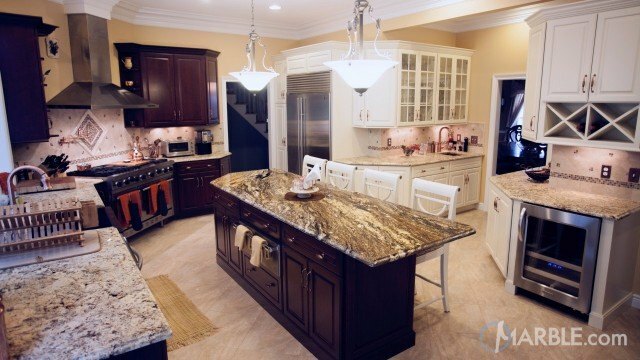 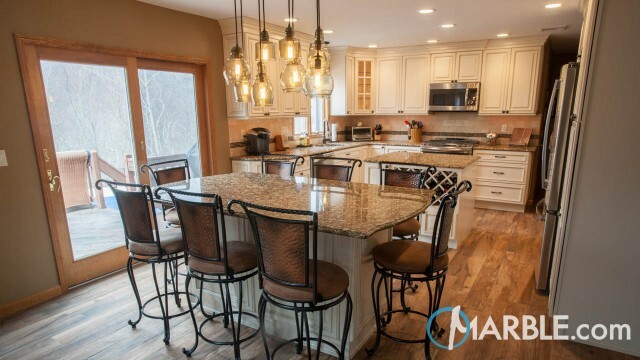 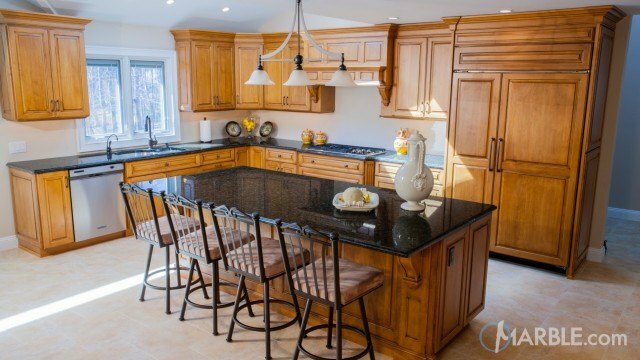 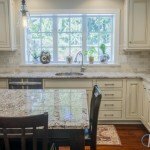 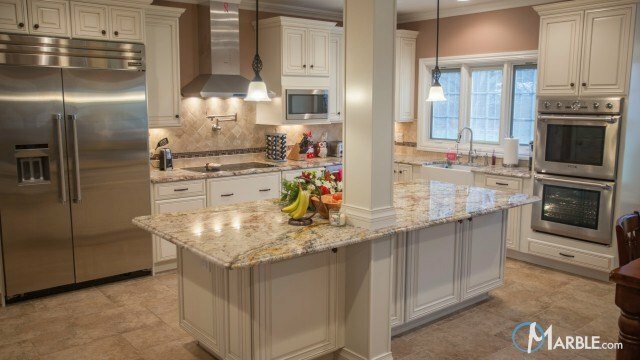 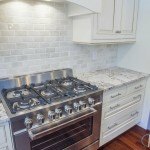 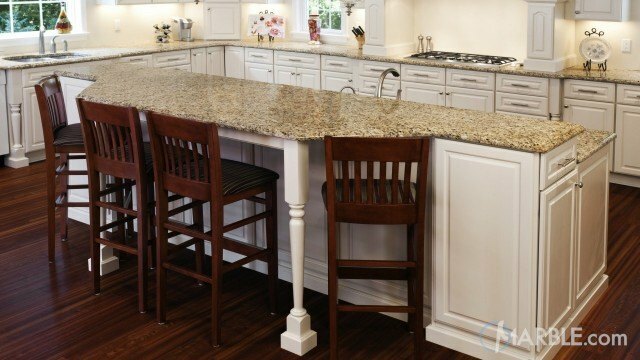 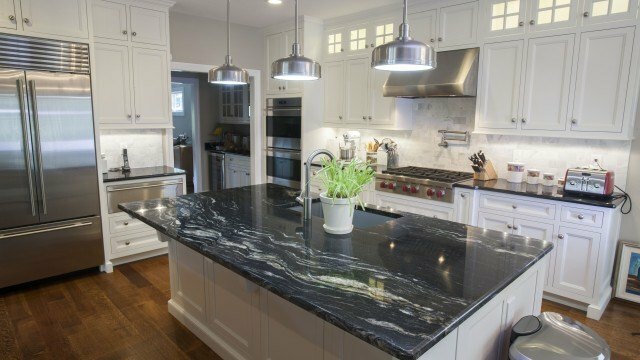 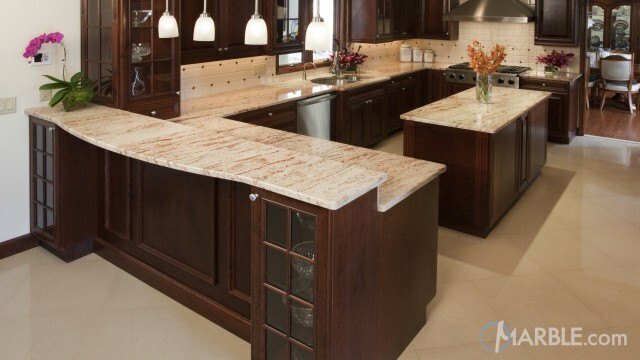 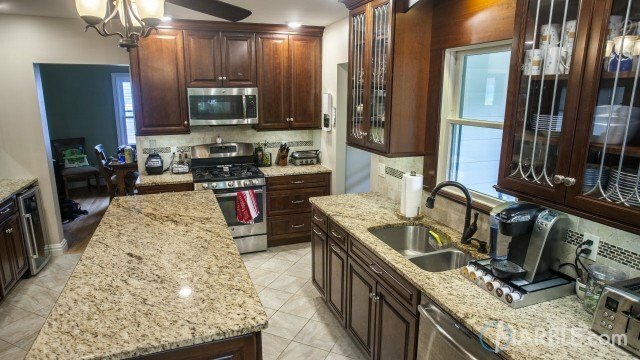 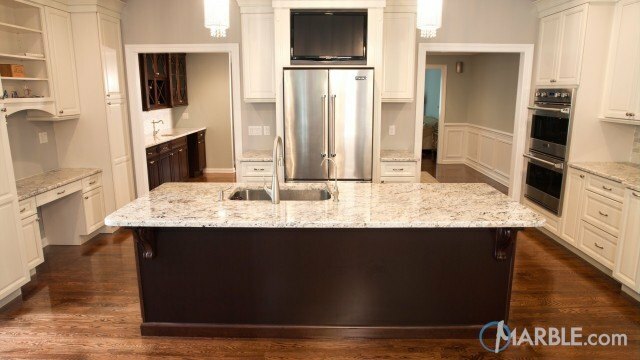 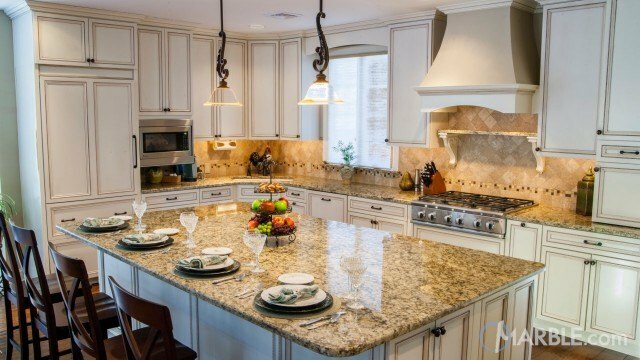 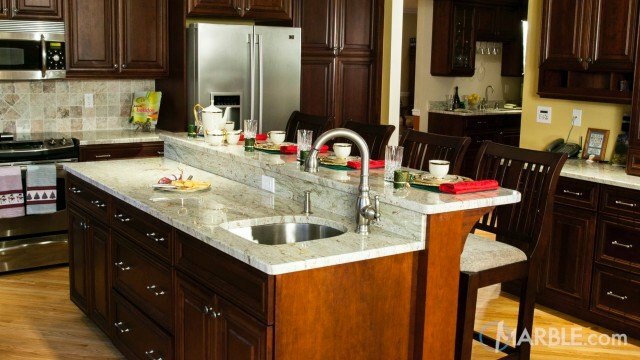 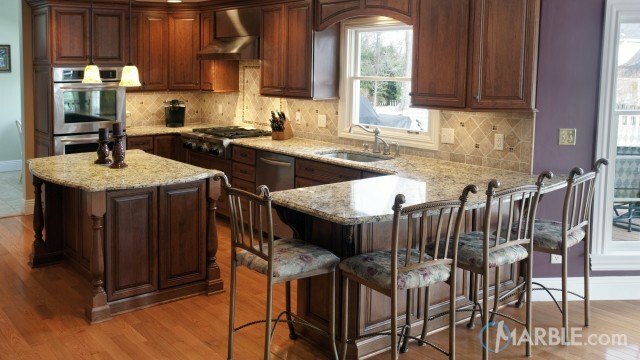 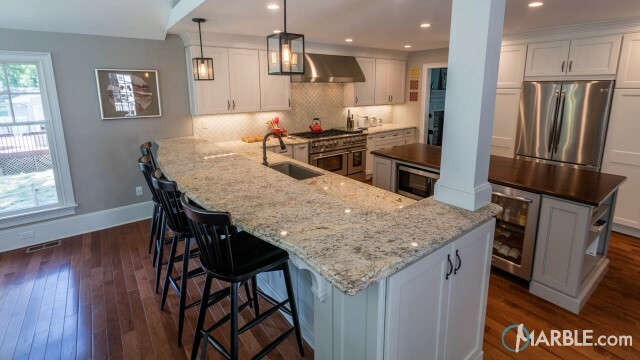 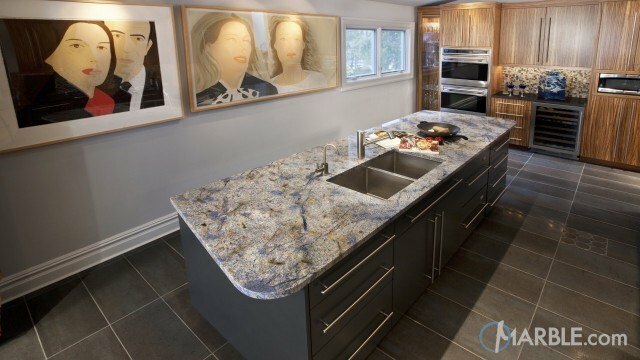 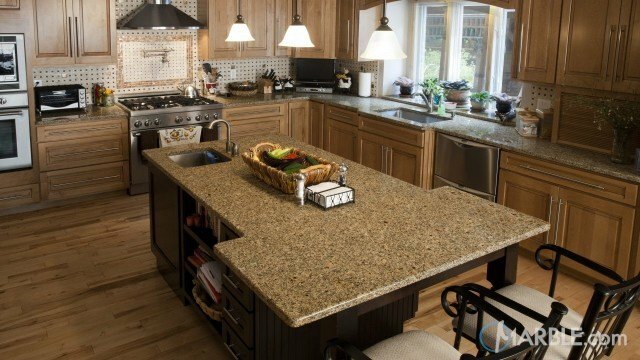 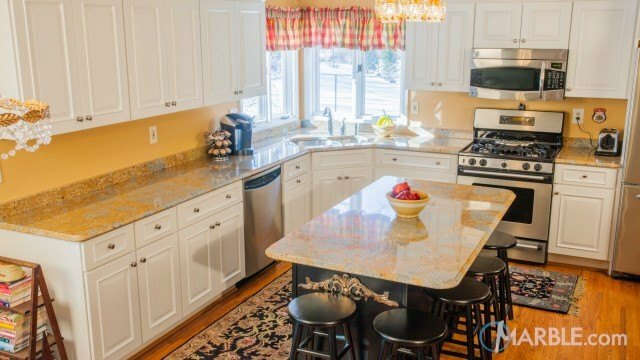 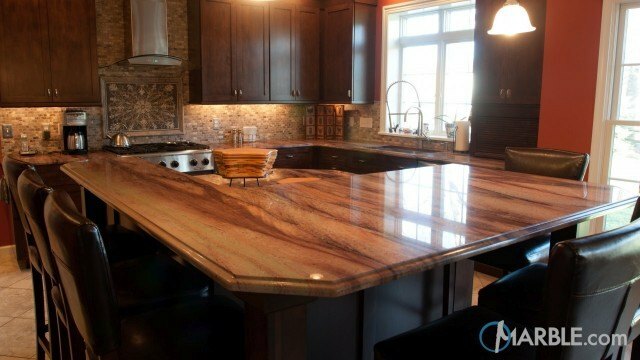 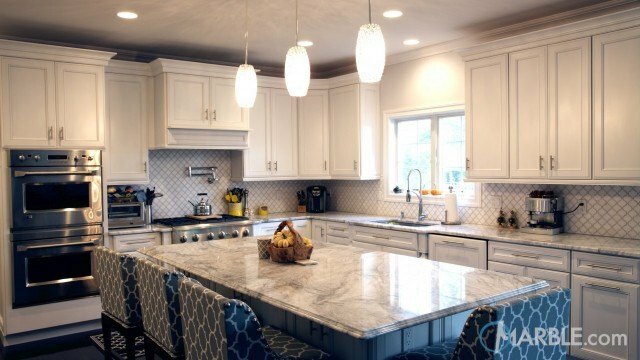 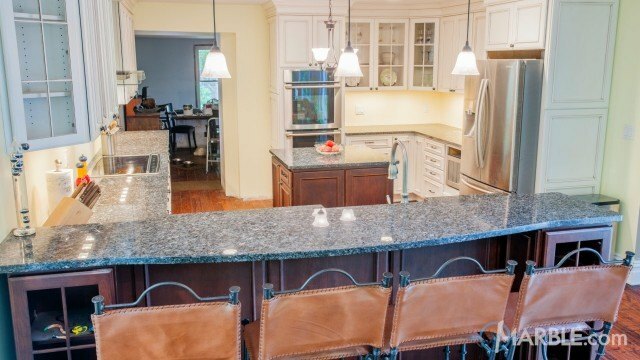 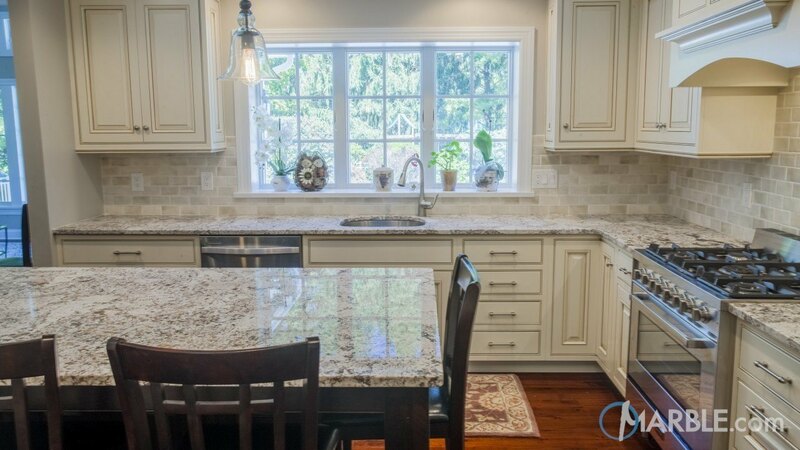 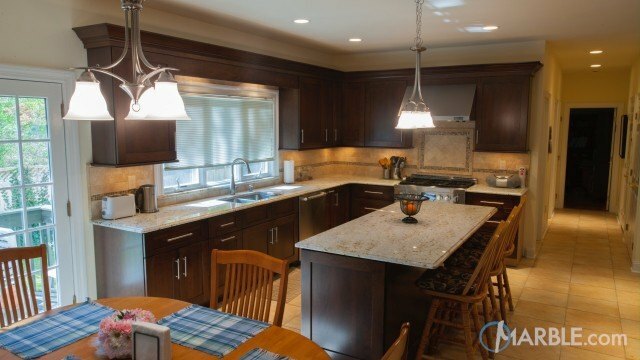 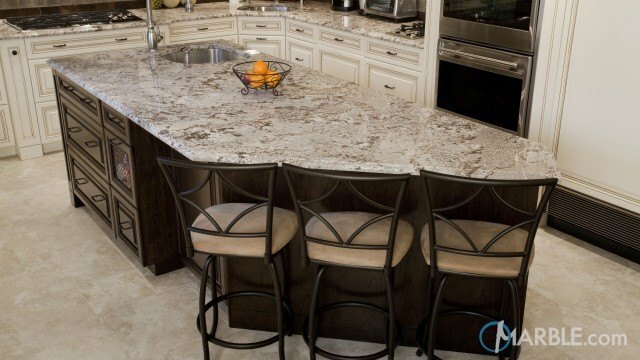 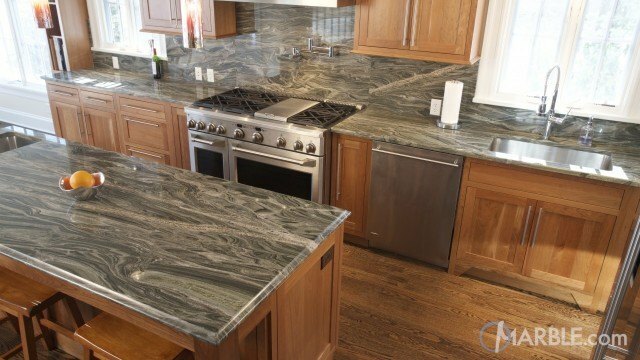 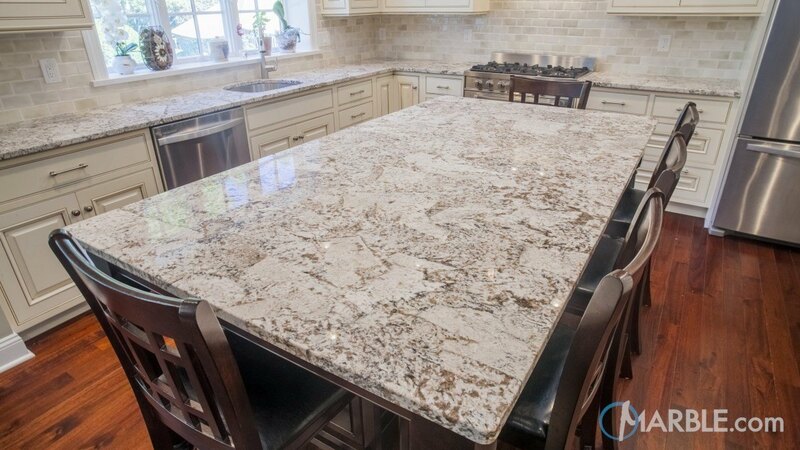 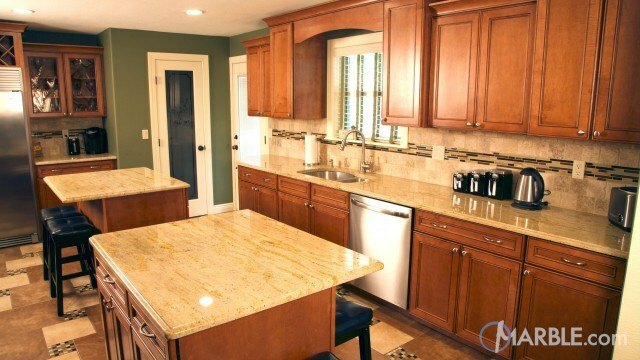 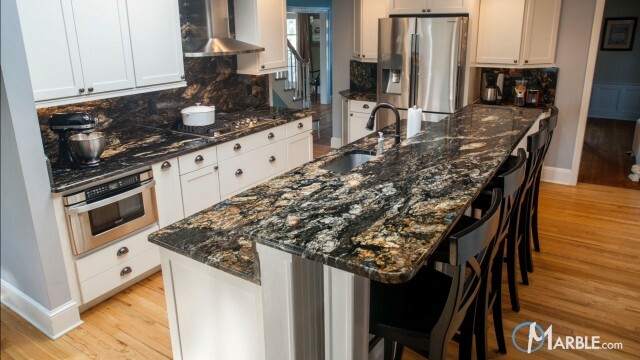 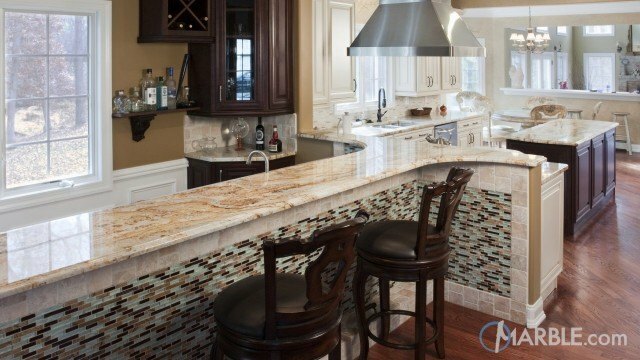 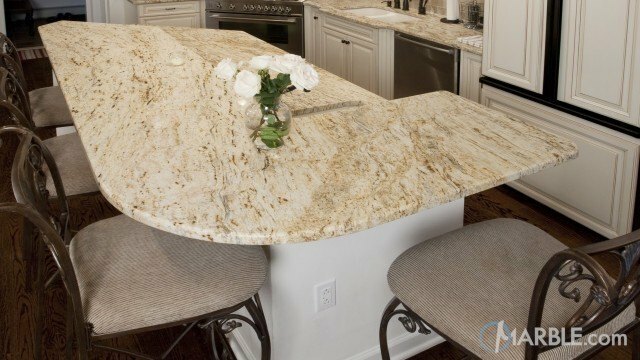 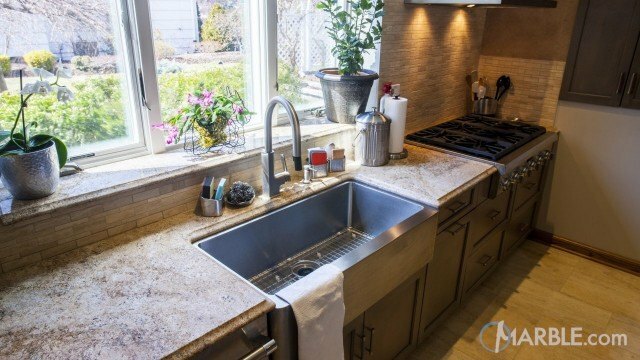 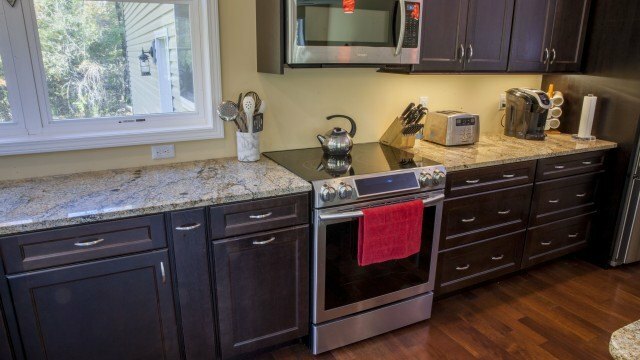 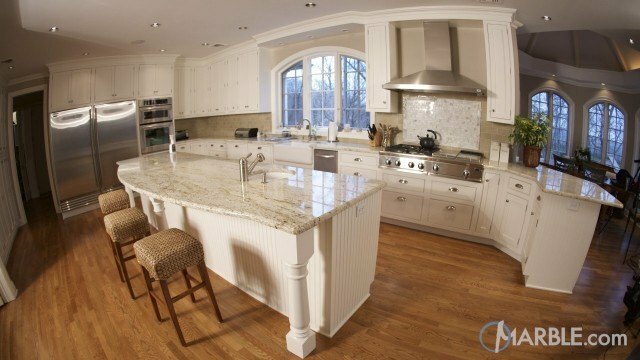 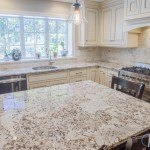 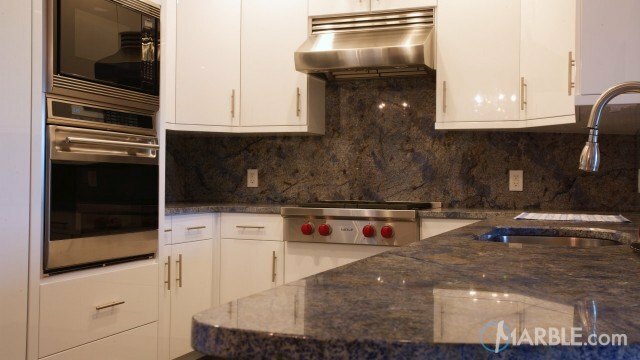 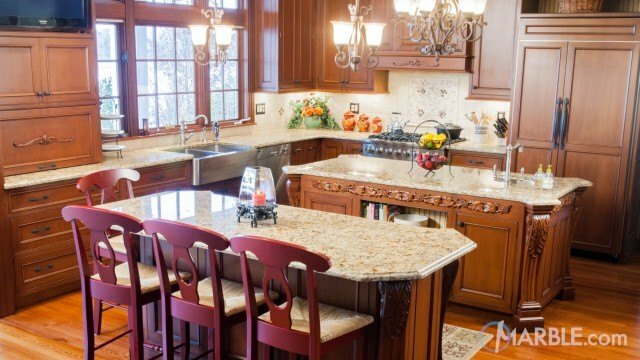 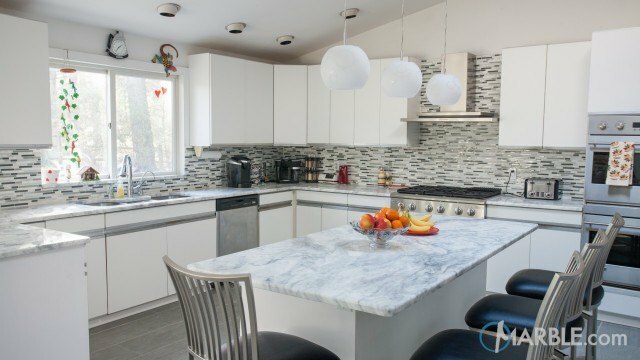 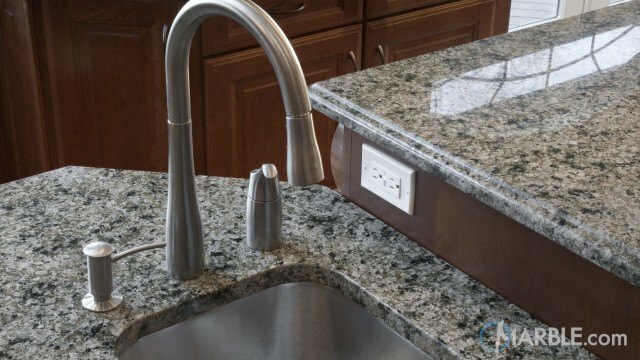 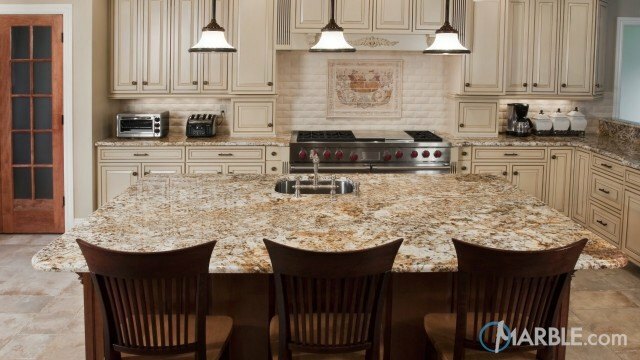 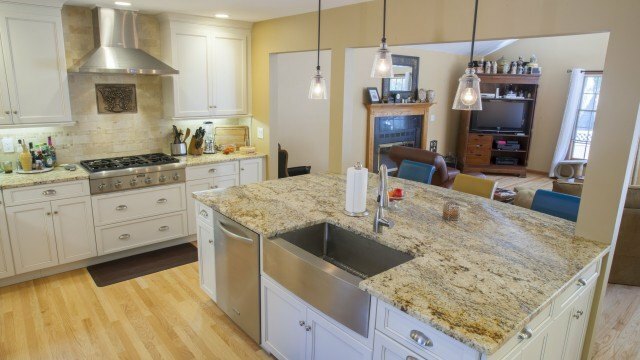 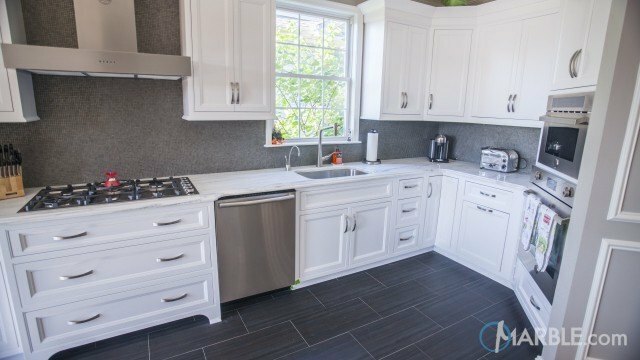 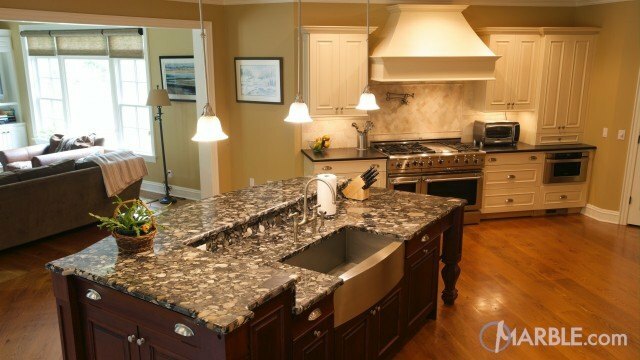 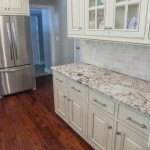 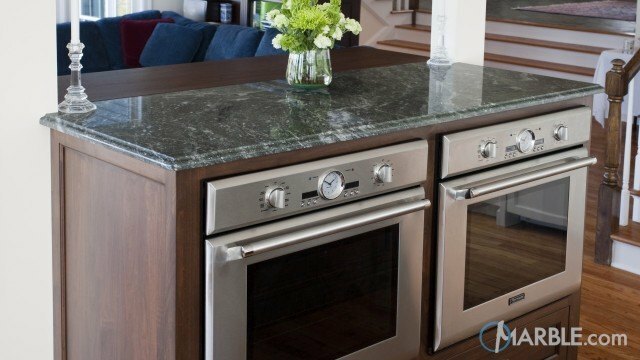 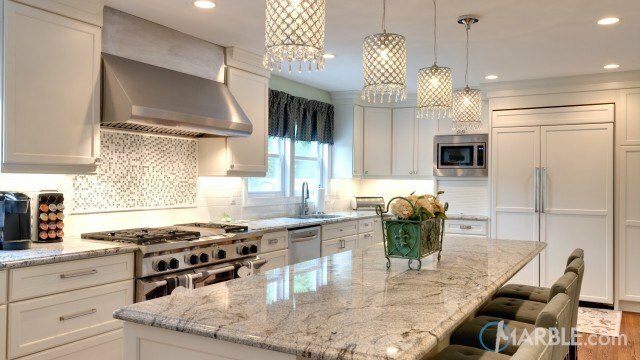 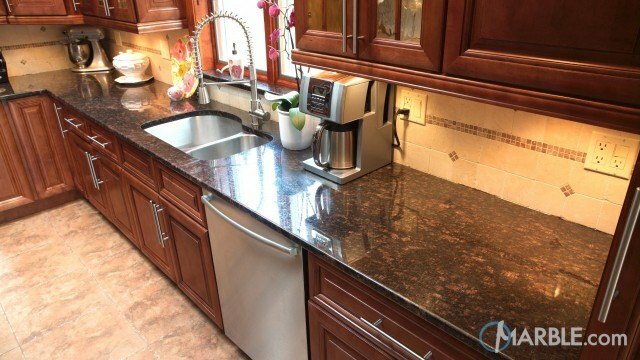 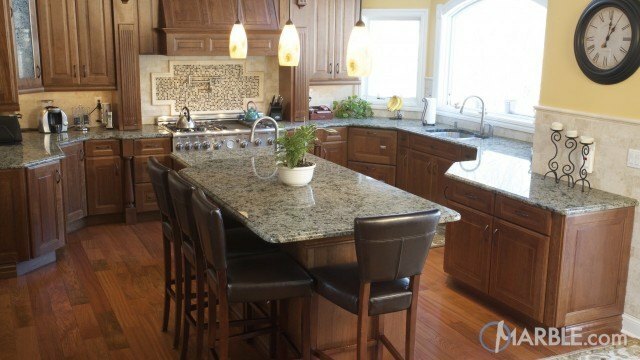 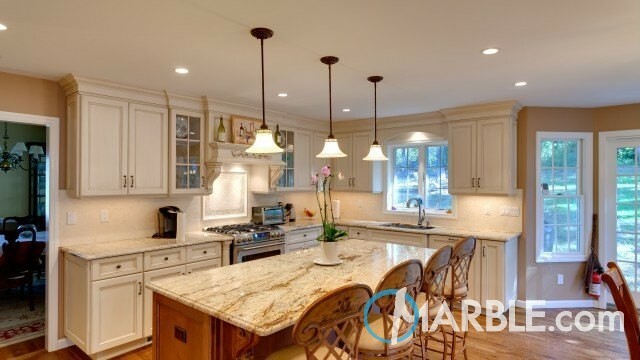 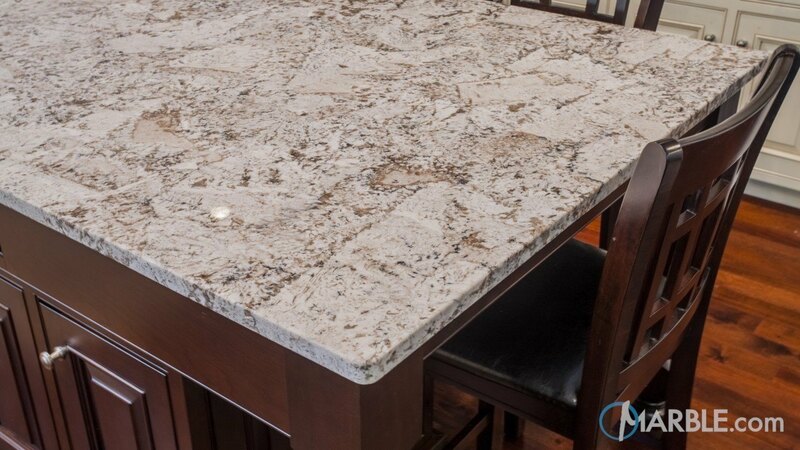 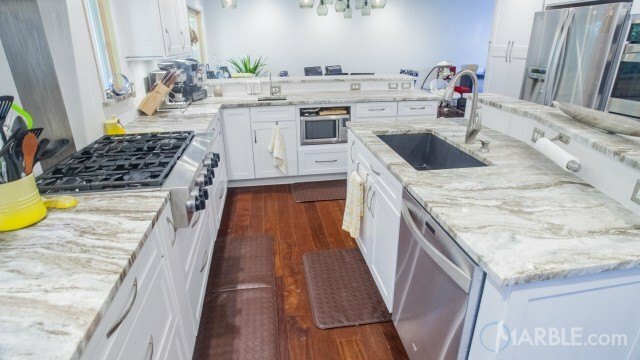 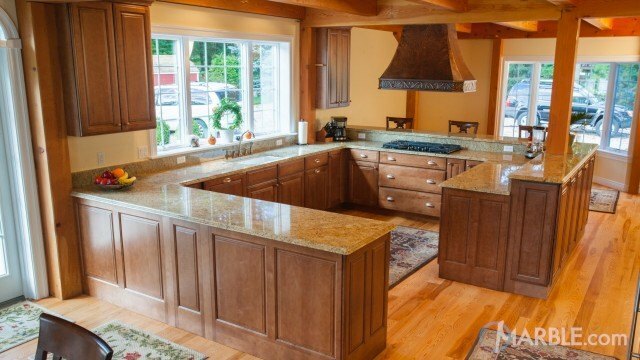 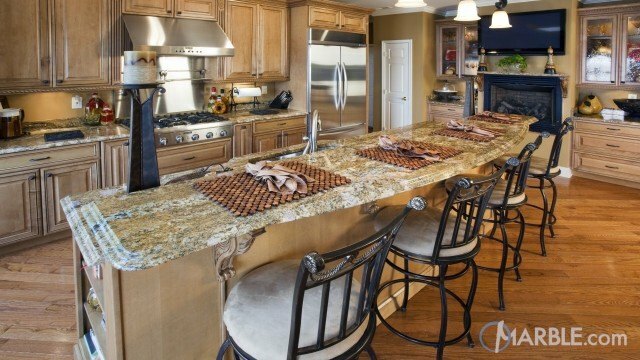 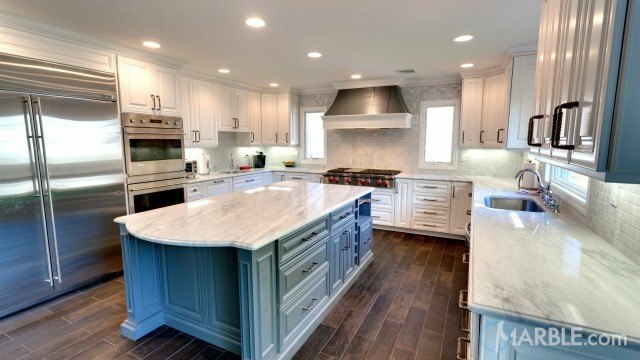 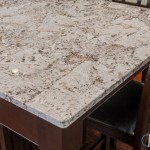 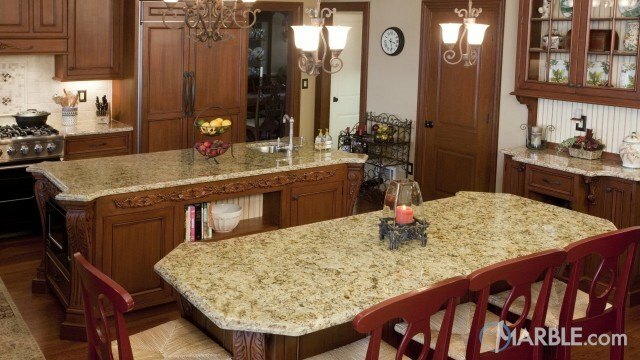 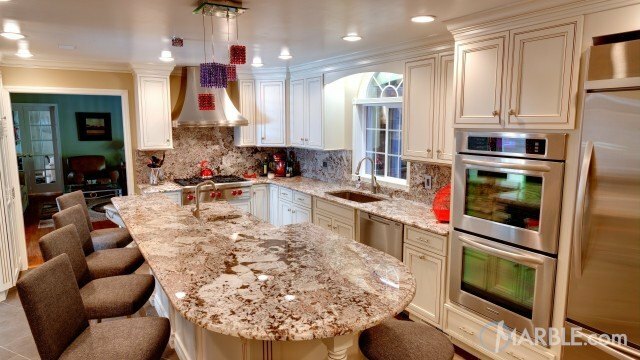 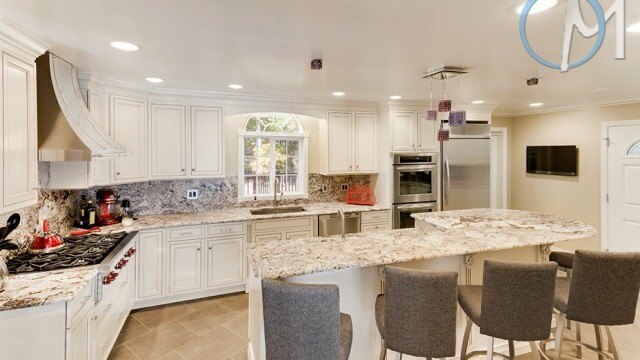 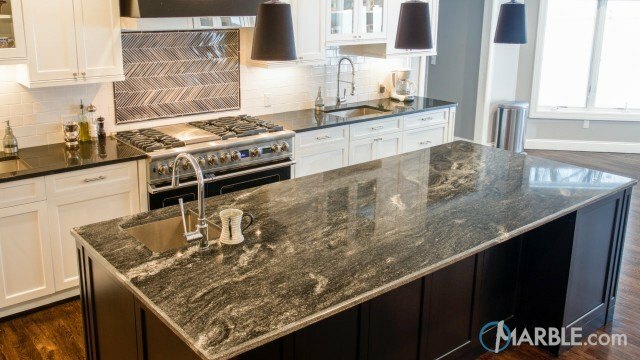 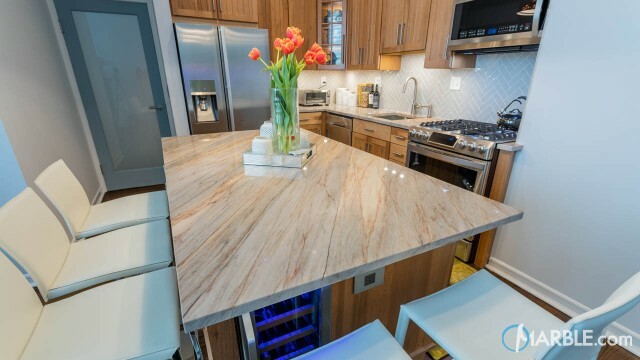 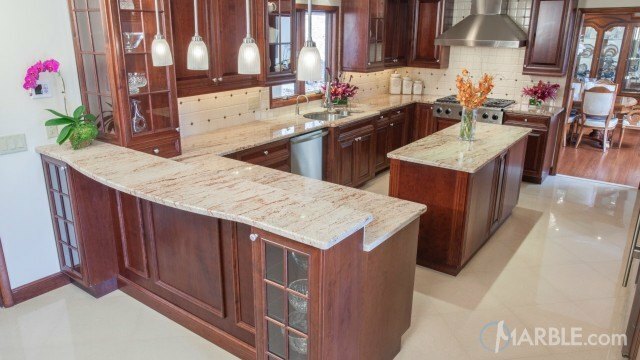 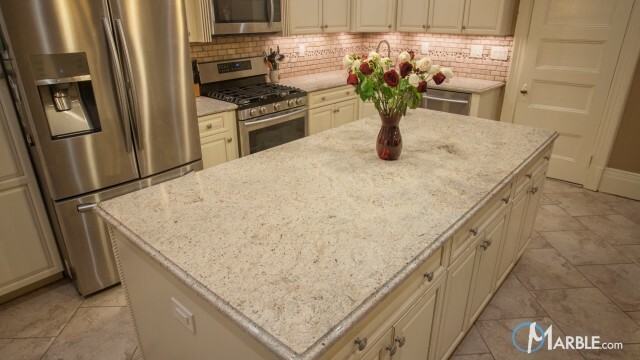 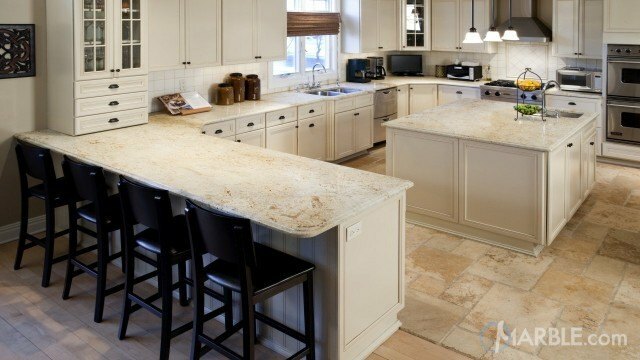 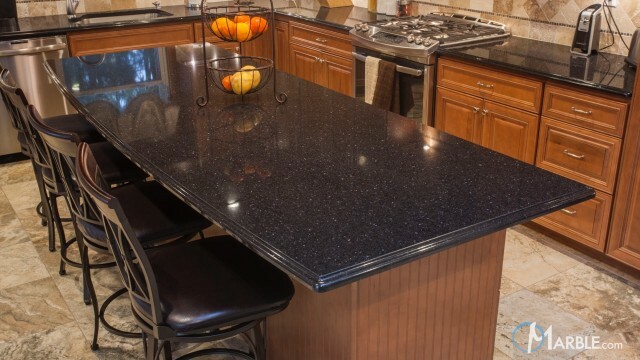 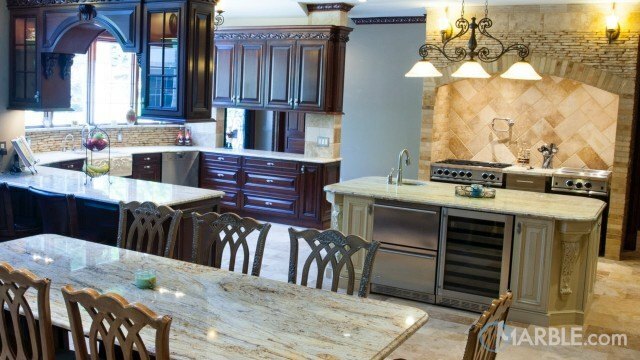 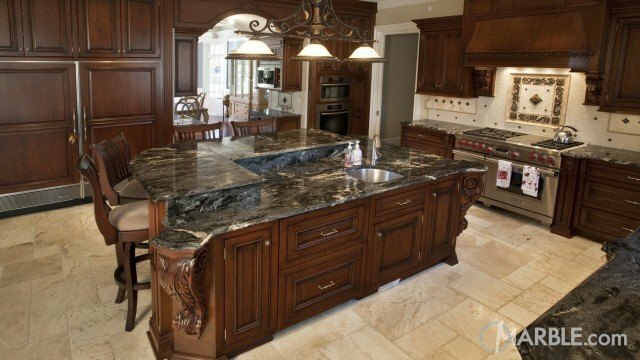 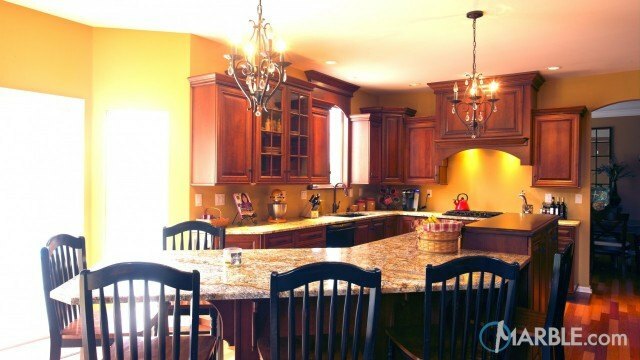 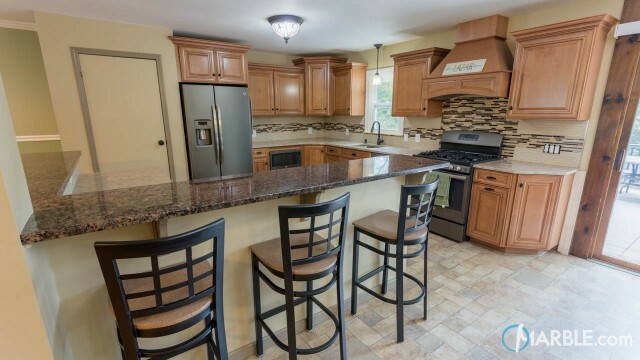 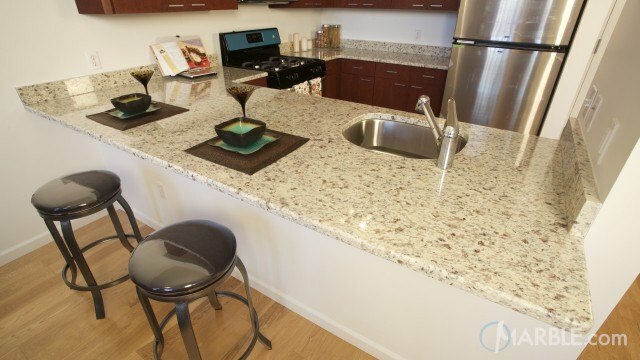 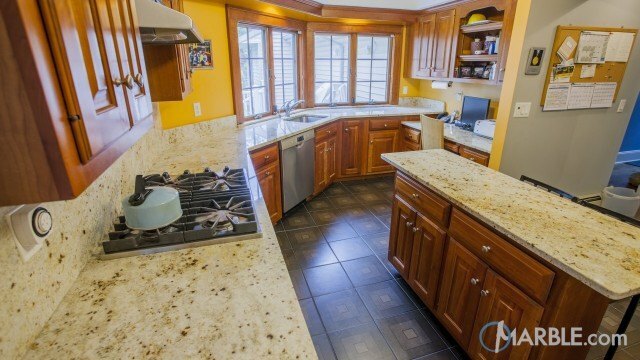 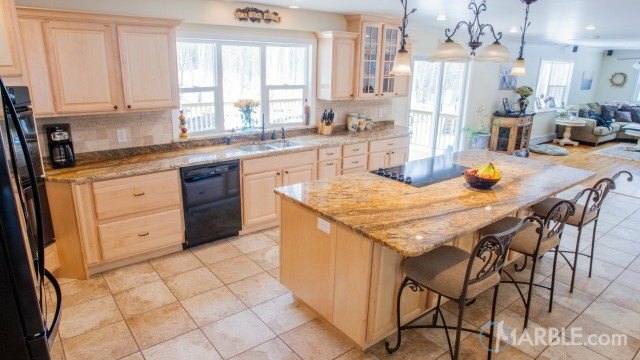 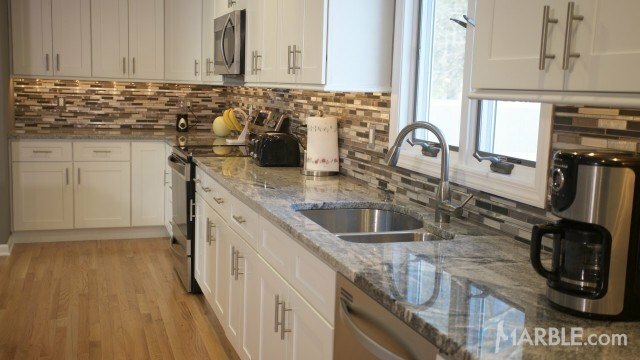 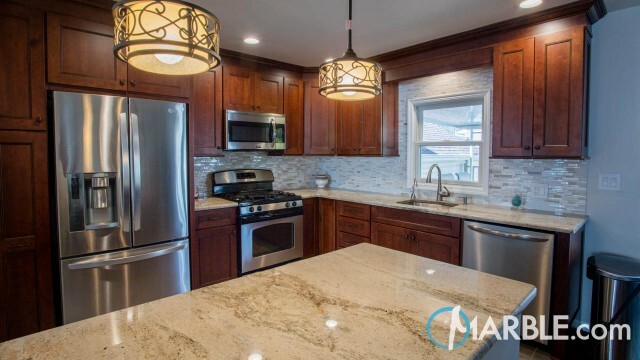 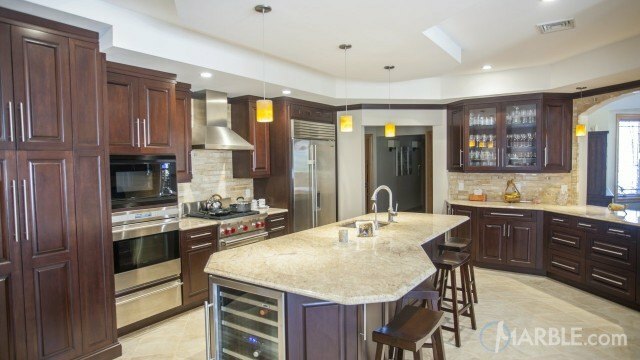 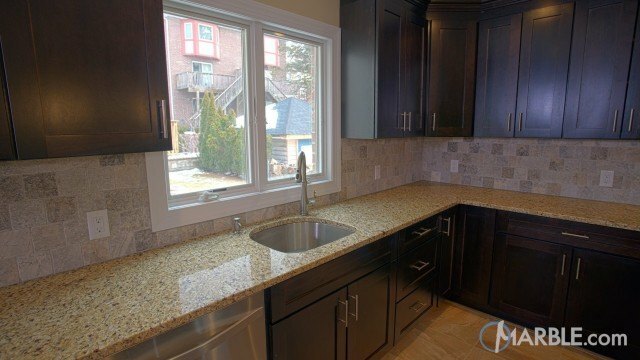 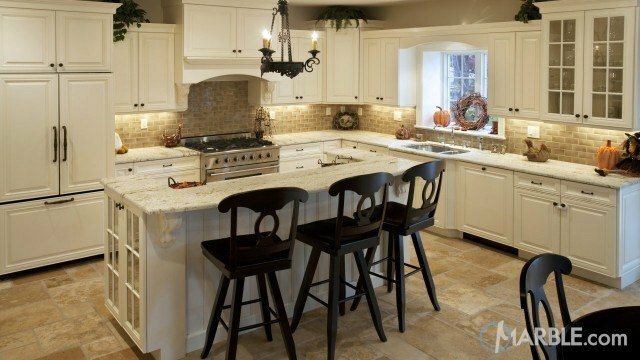 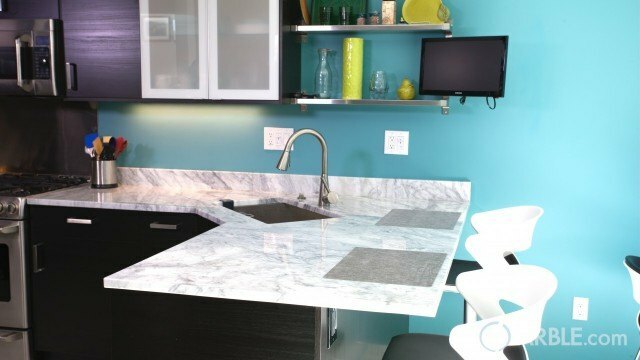 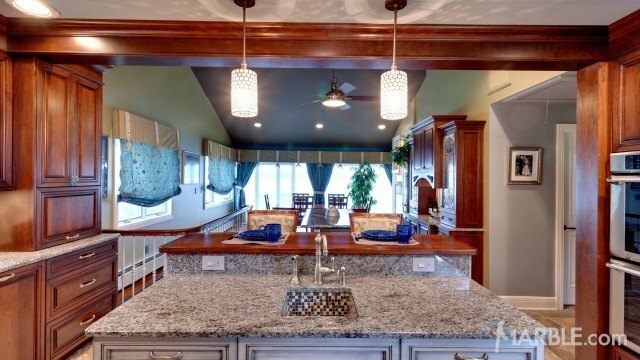 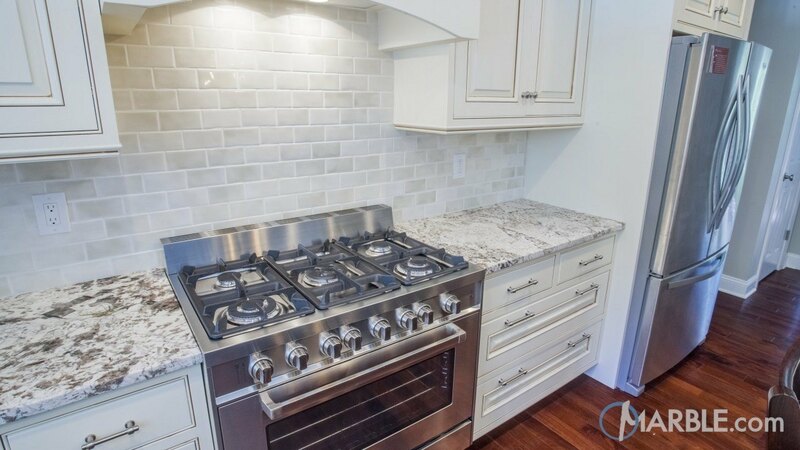 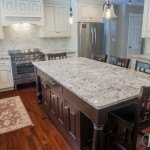 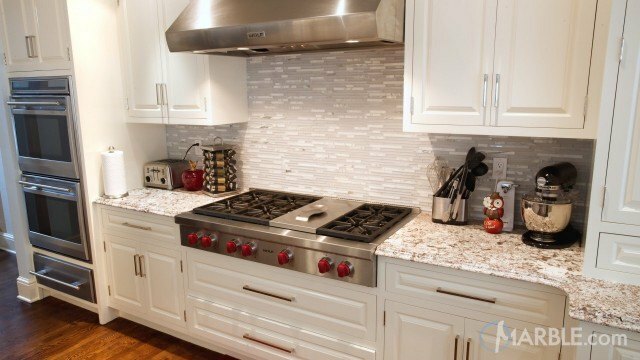 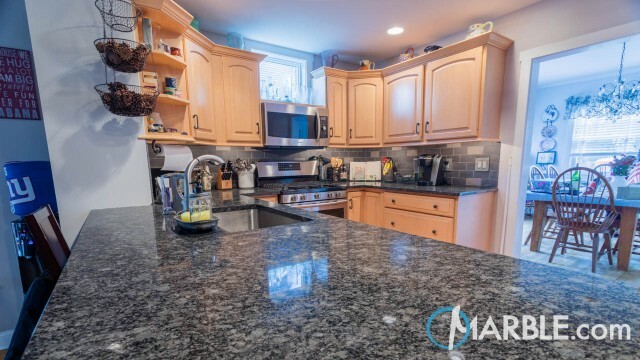 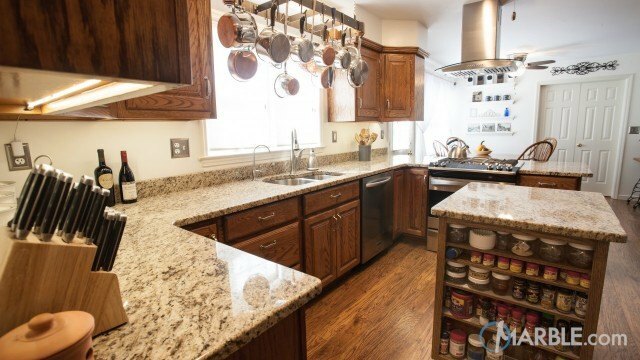 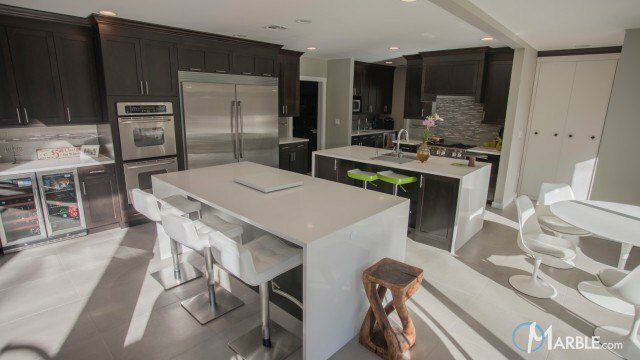 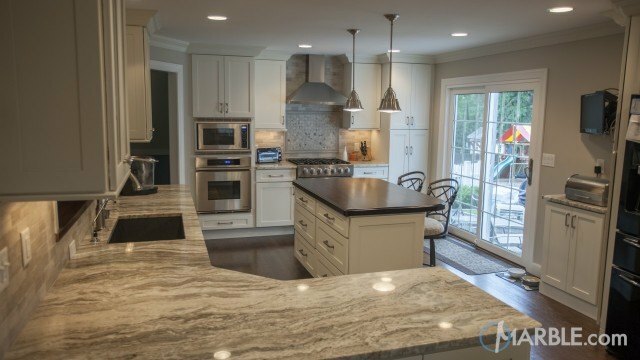 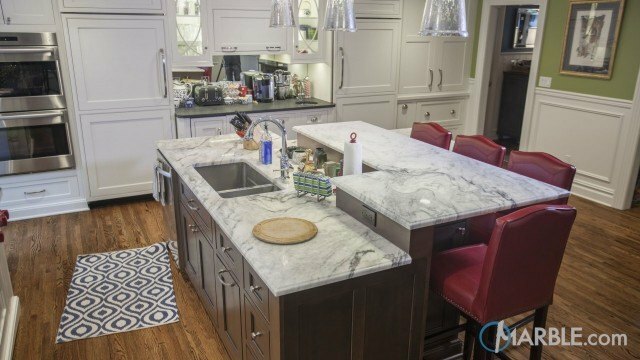 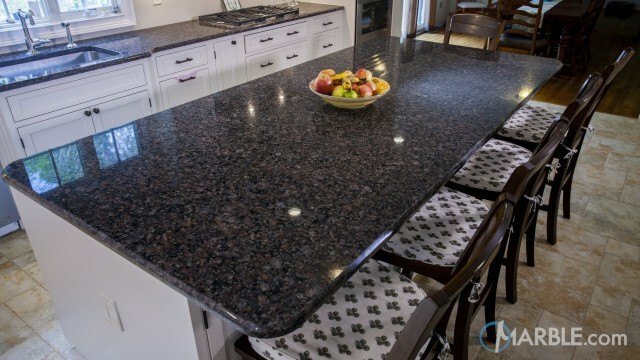 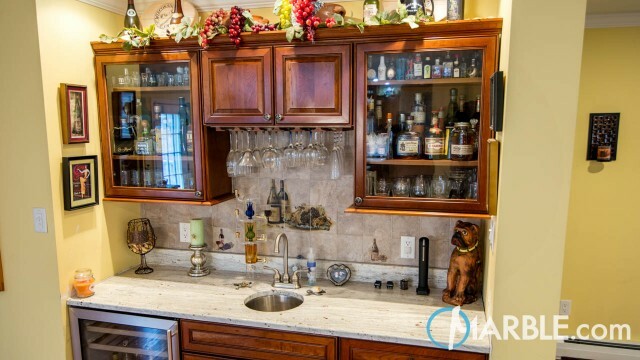 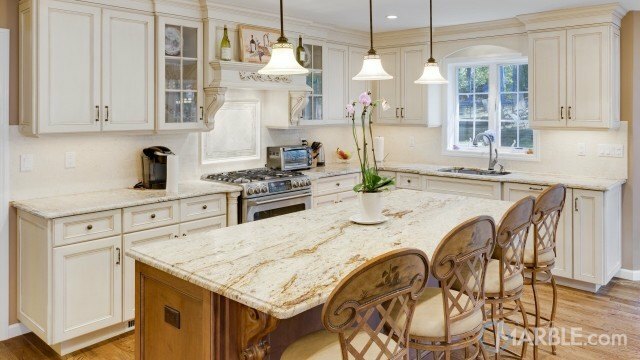 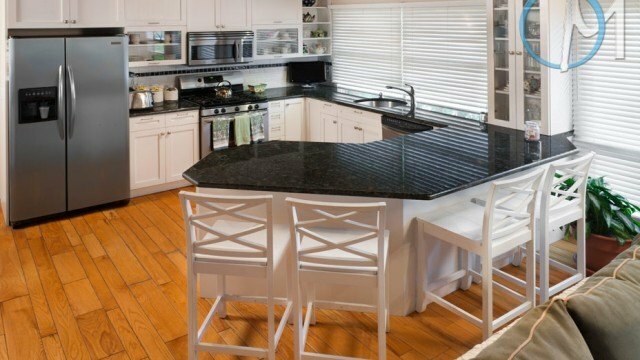 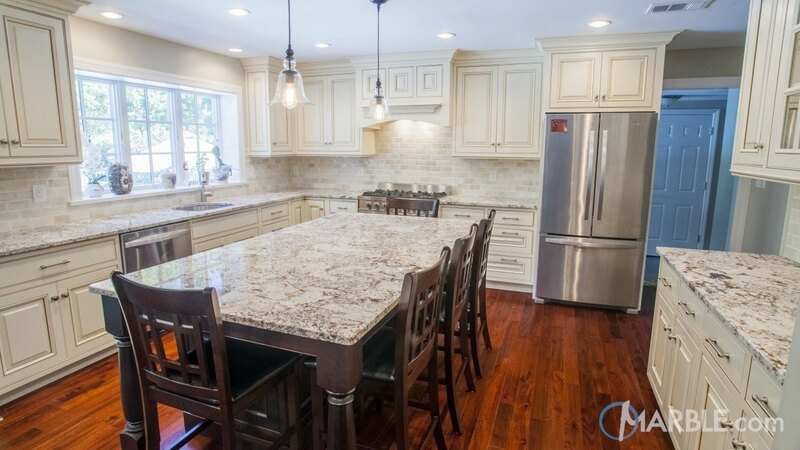 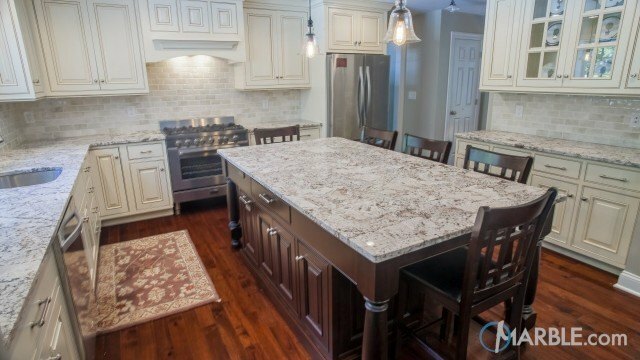 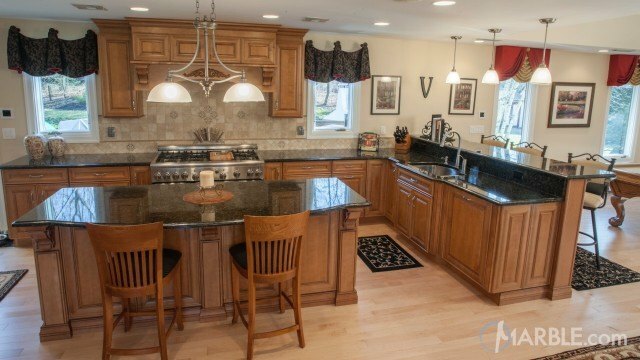 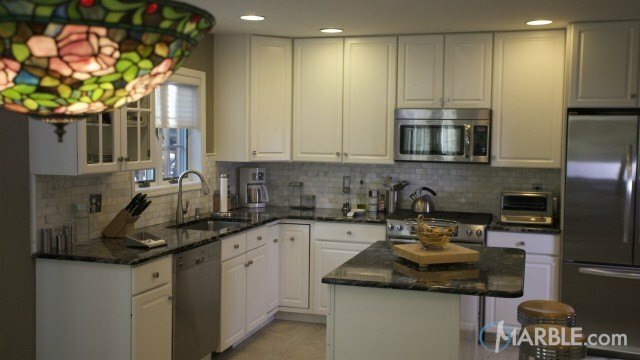 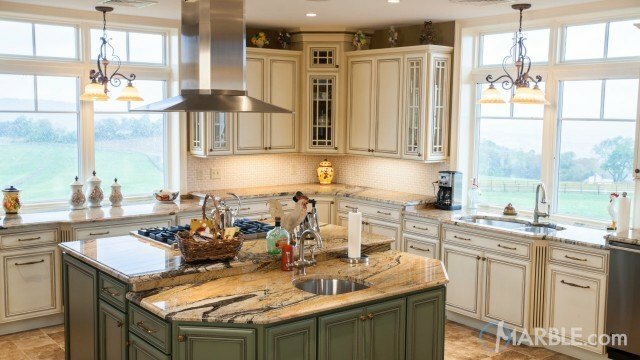 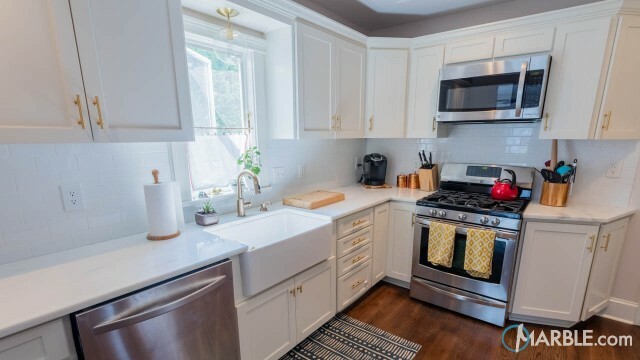 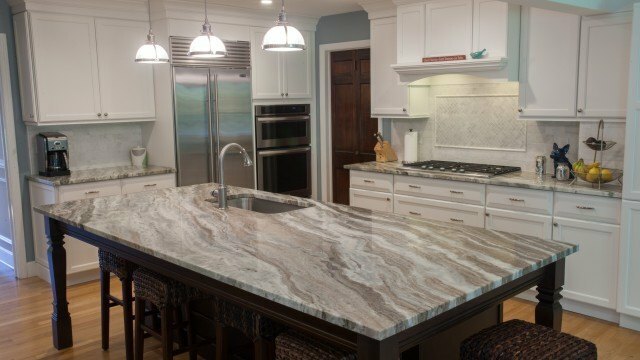 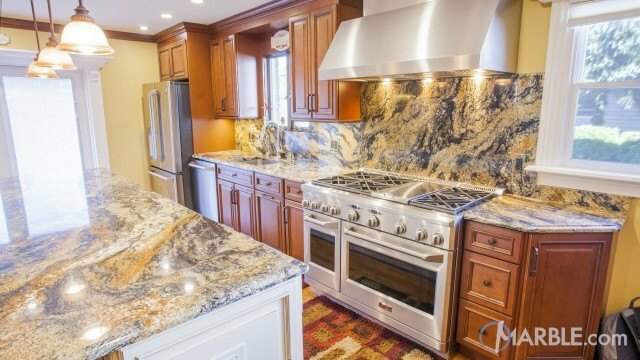 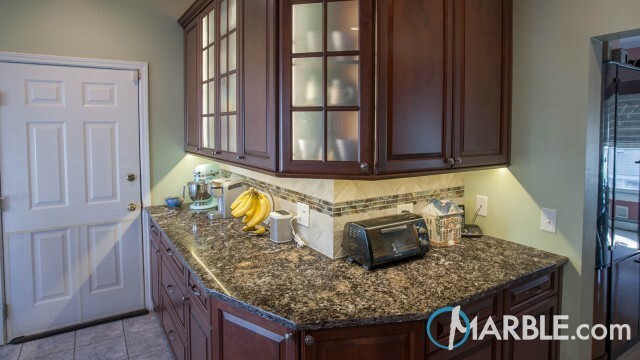 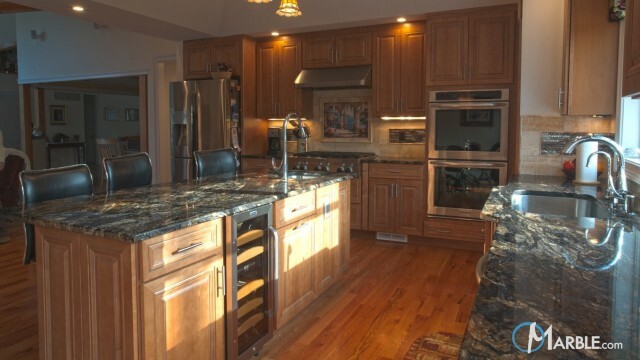 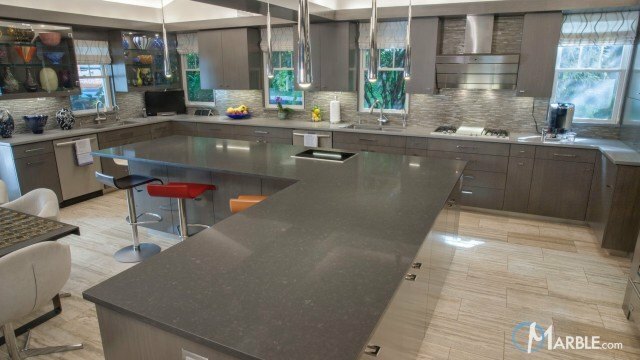 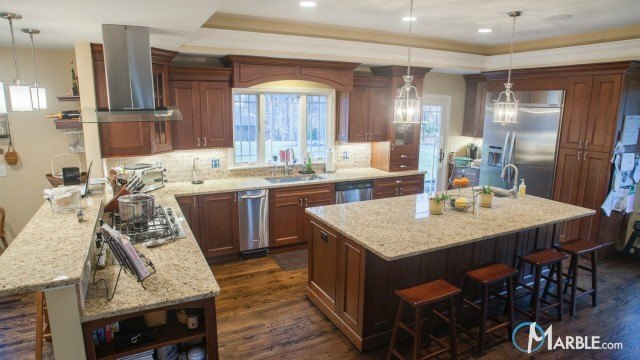 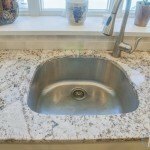 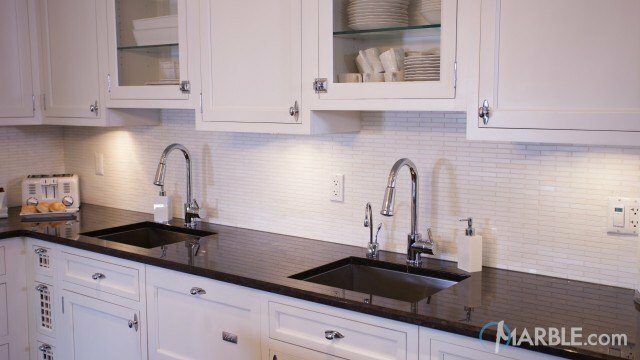 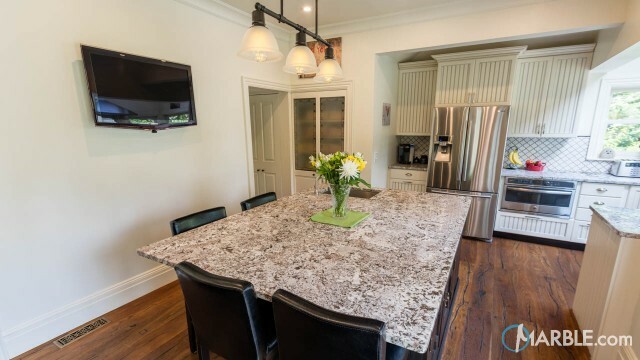 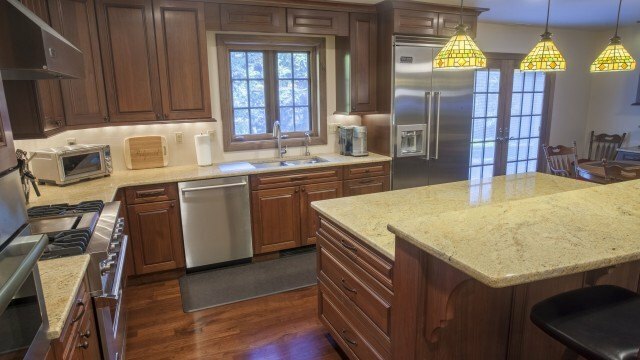 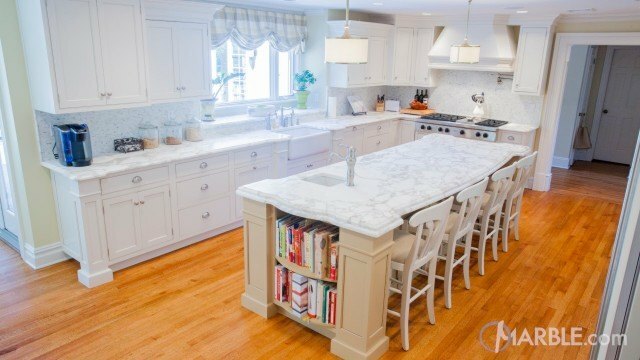 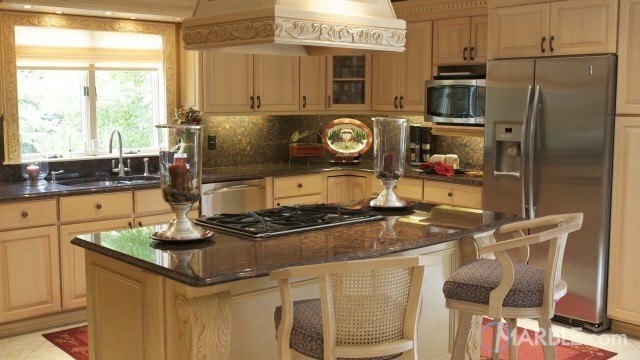 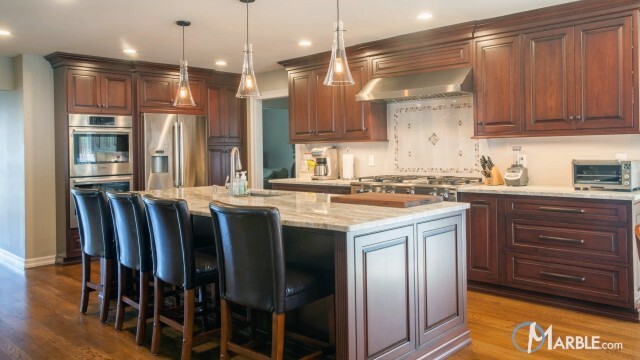 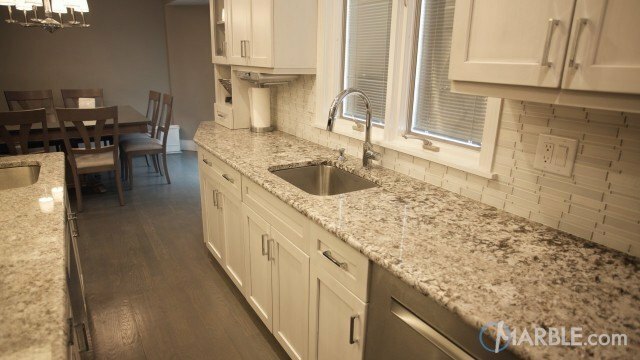 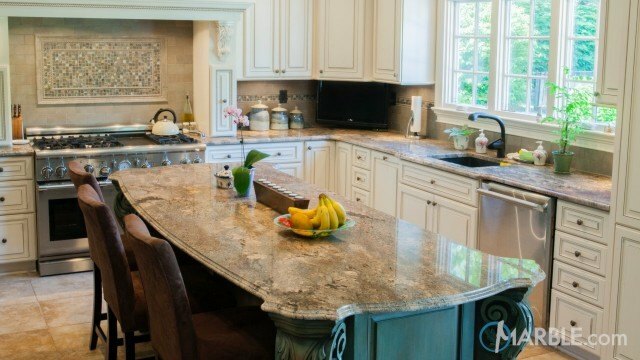 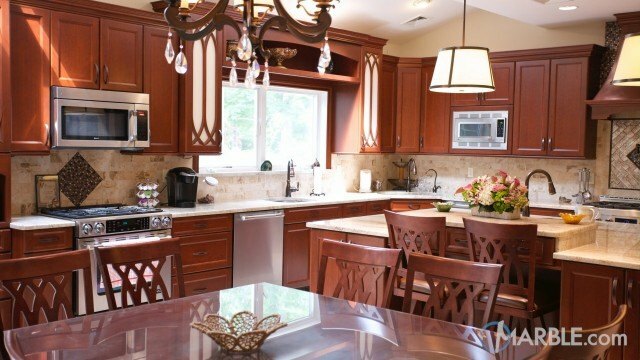 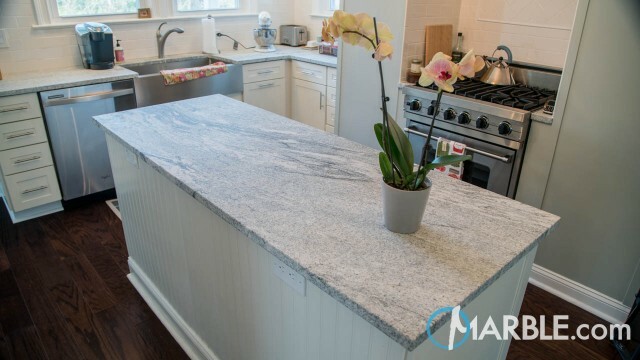 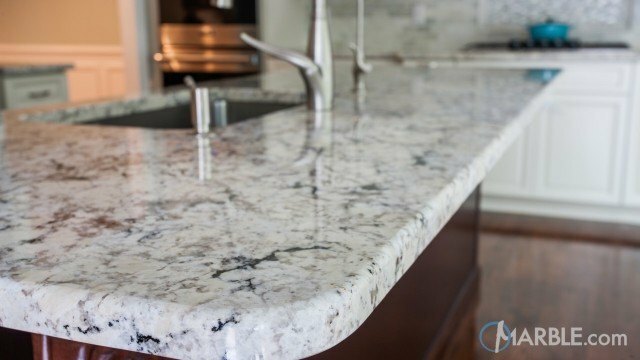 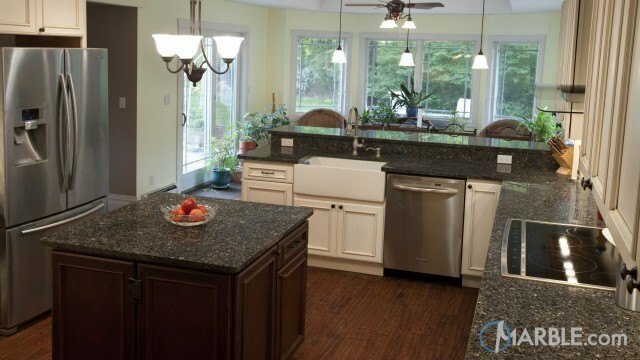 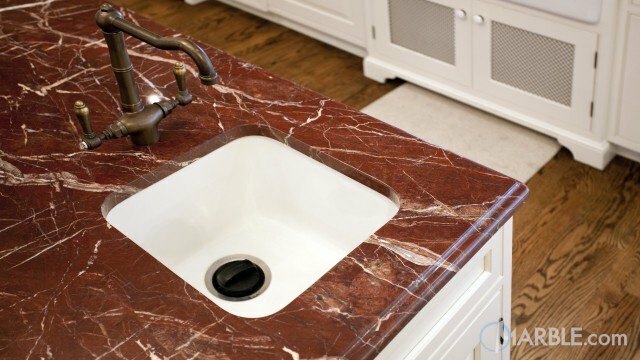 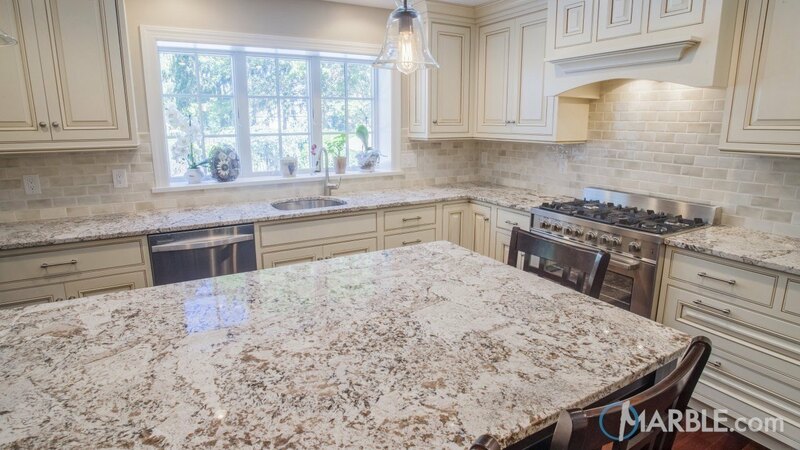 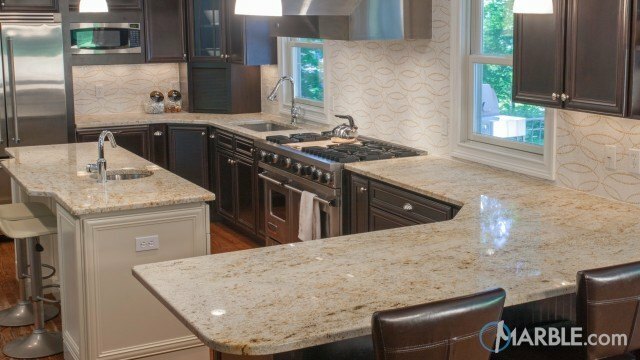 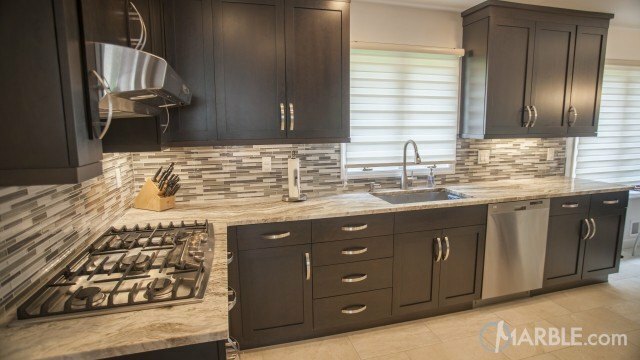 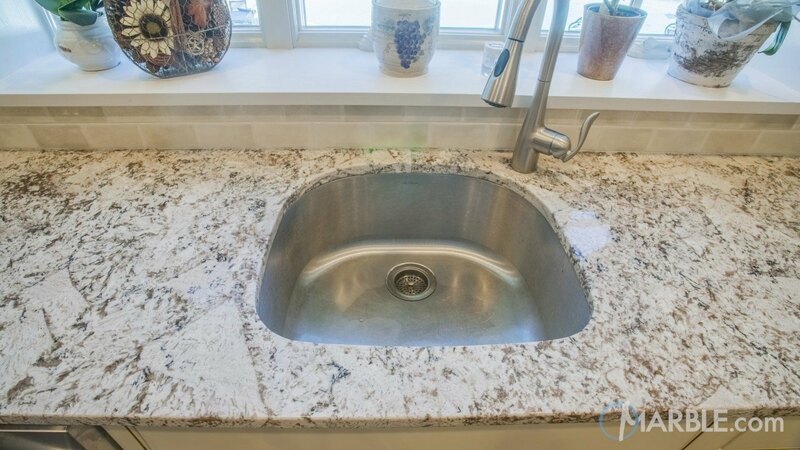 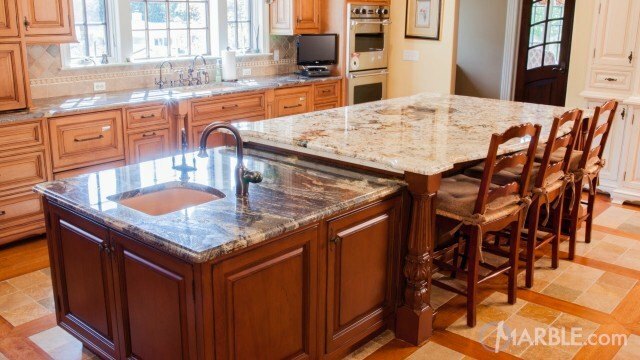 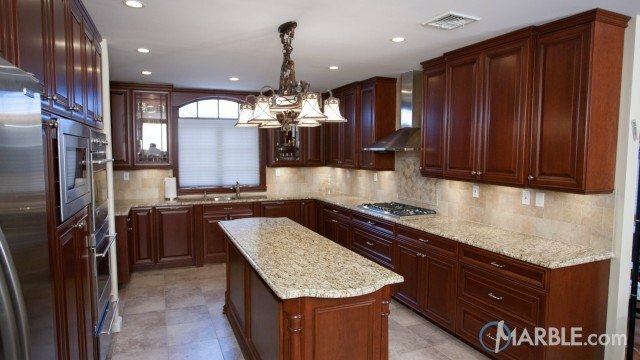 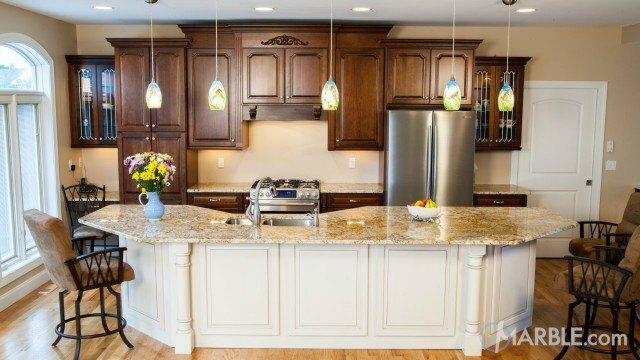 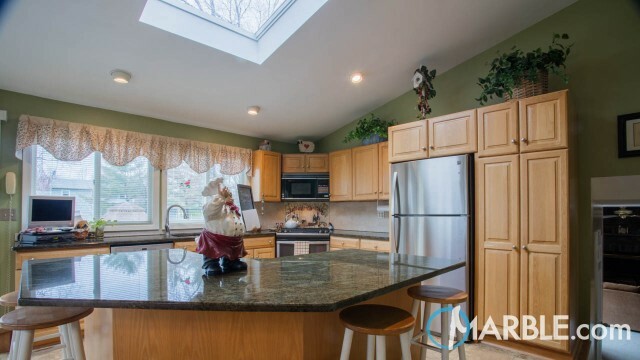 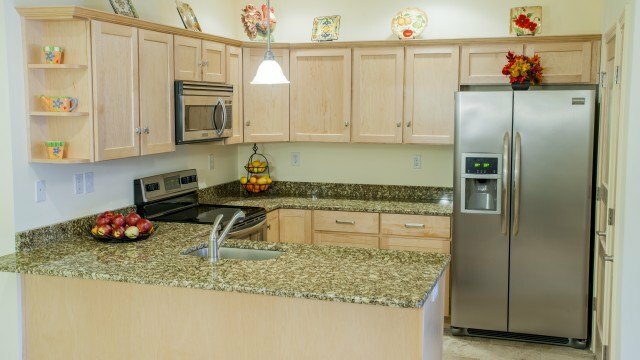 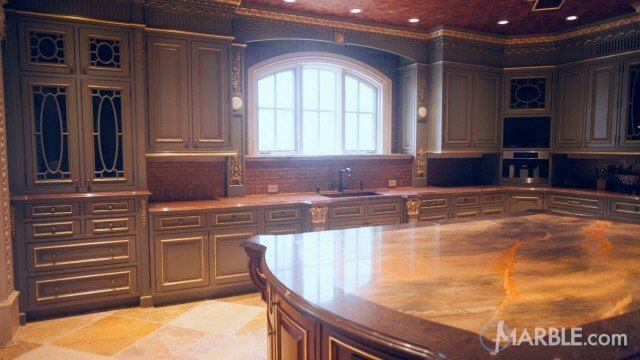 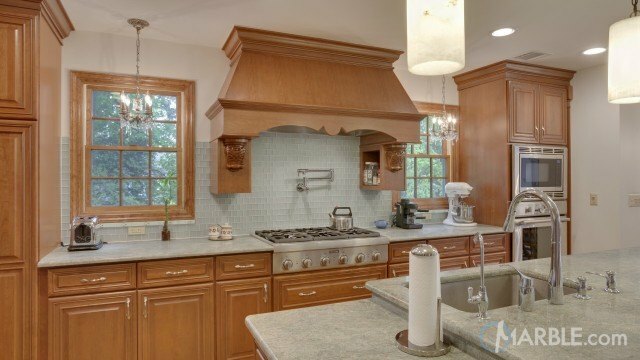 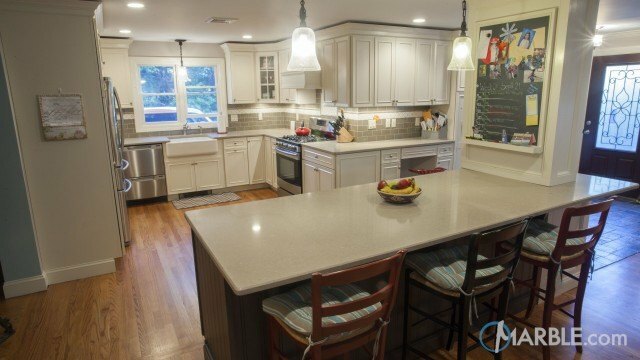 This new kitchen uses Bianco Antico granite as its center piece. 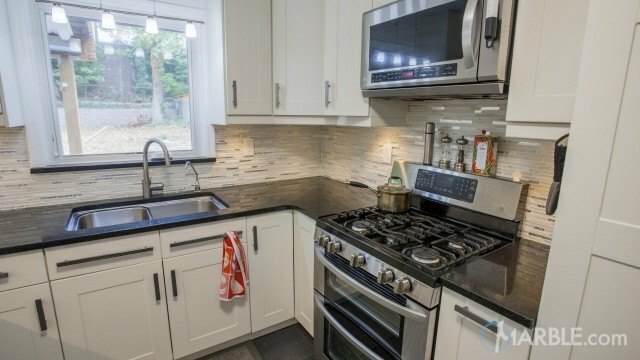 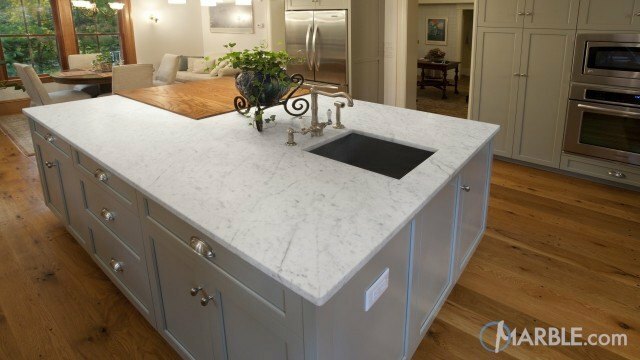 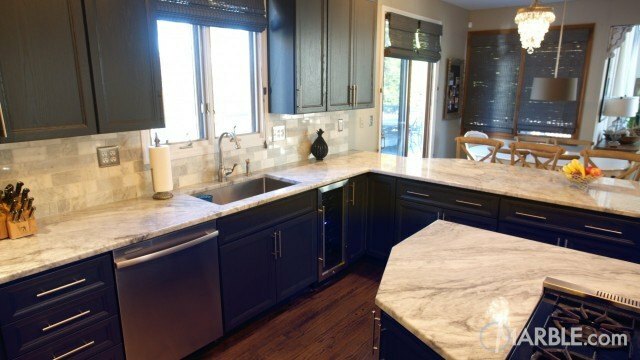 The off white cabinets and silver hardware combined with the matching black table legs and chairs adds a nice complement to this beautiful stone. 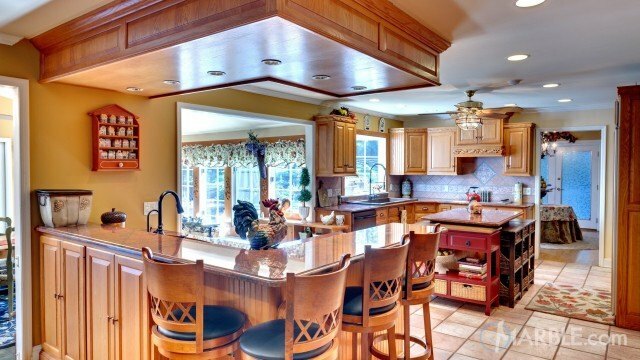 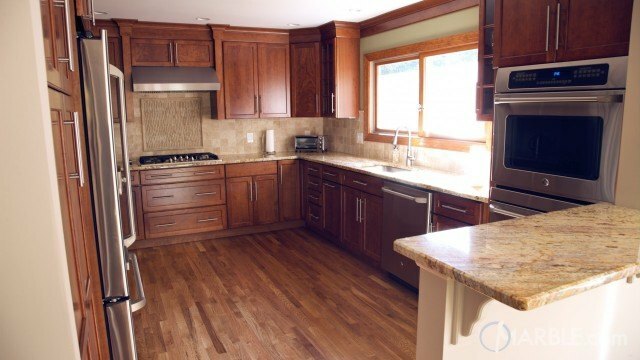 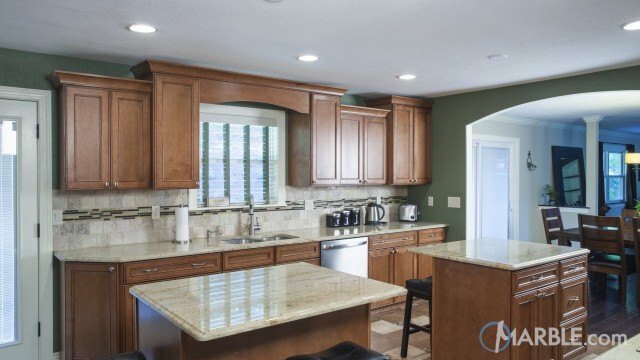 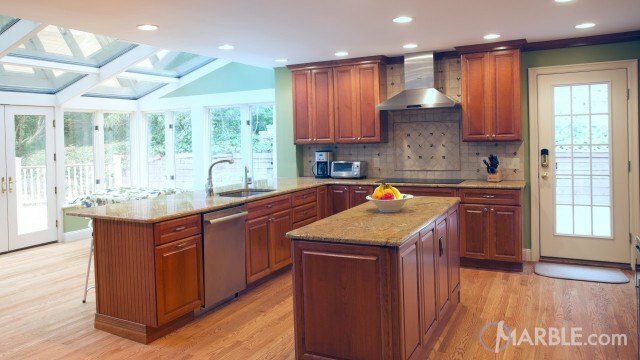 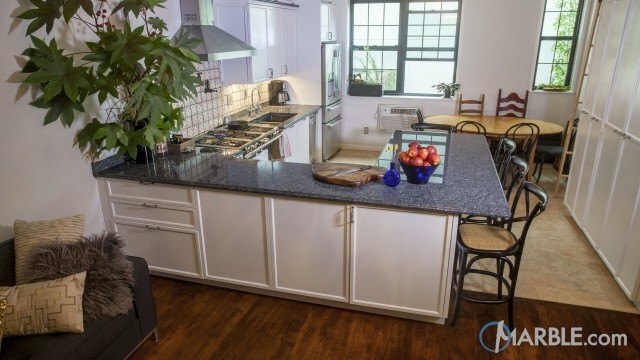 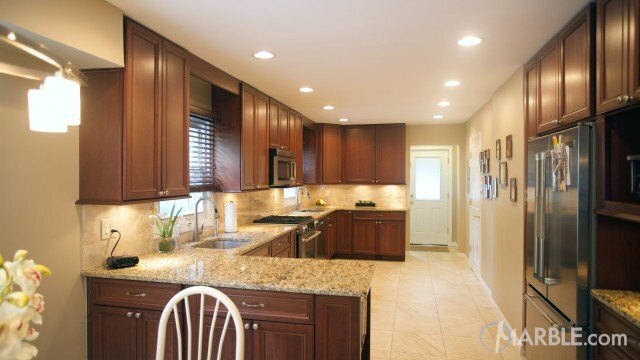 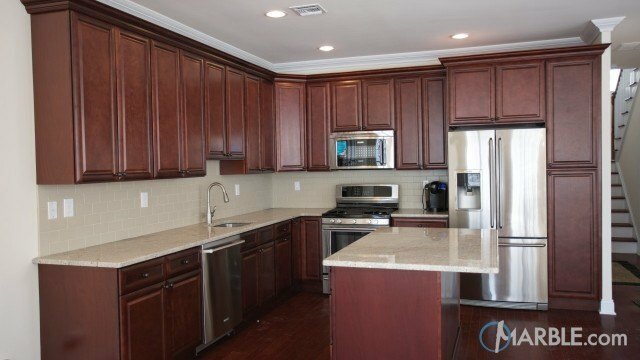 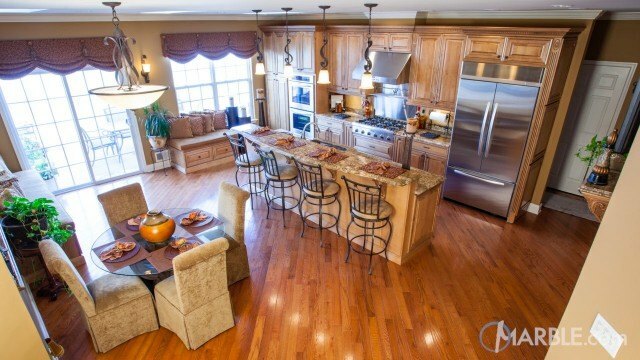 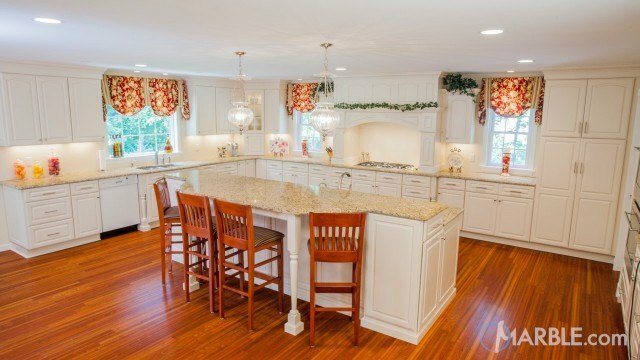 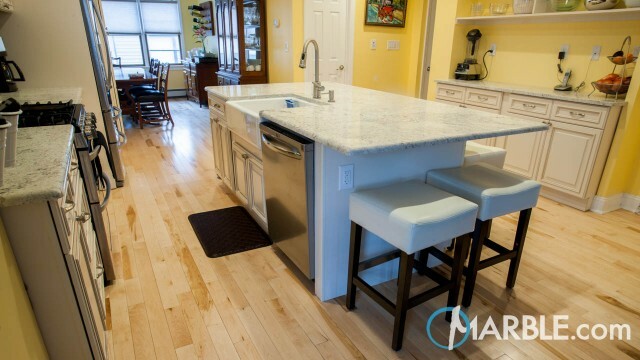 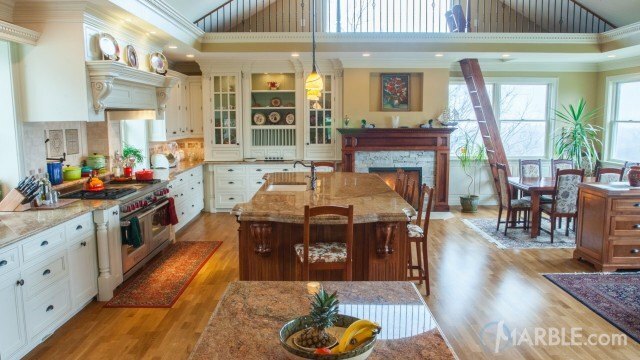 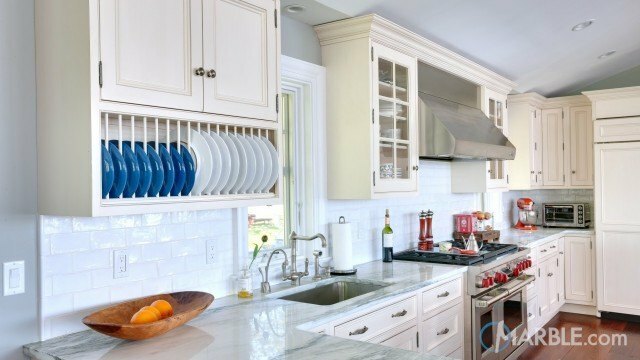 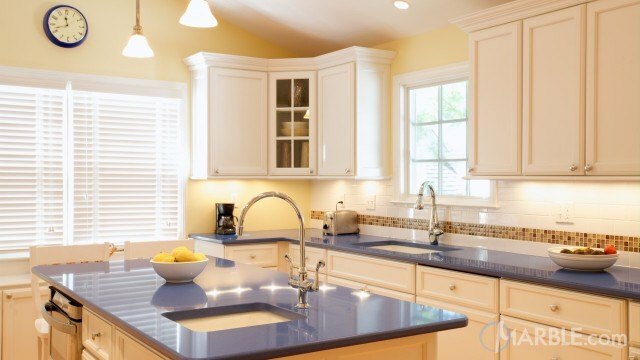 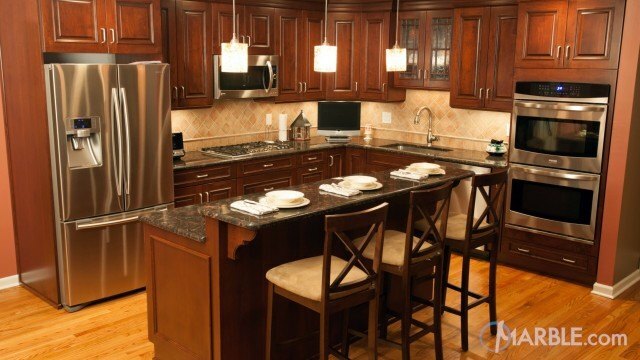 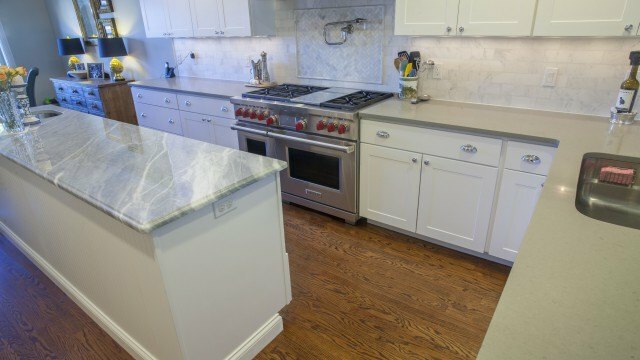 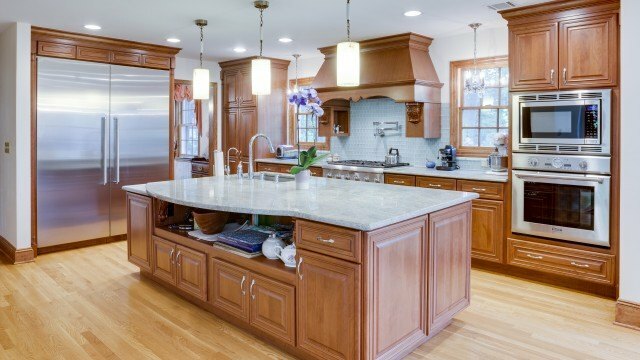 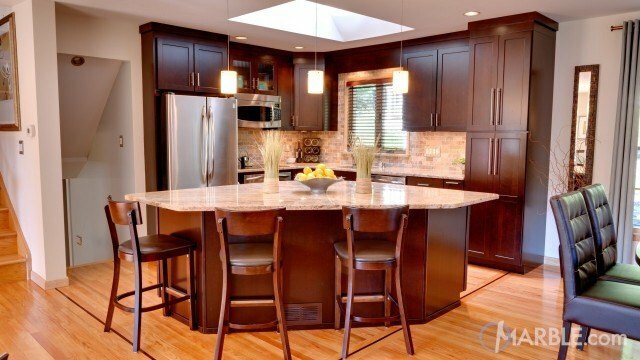 The hardwood floors add a contrast in color and allow the adjacent room to flow into the kitchen flawlessly.